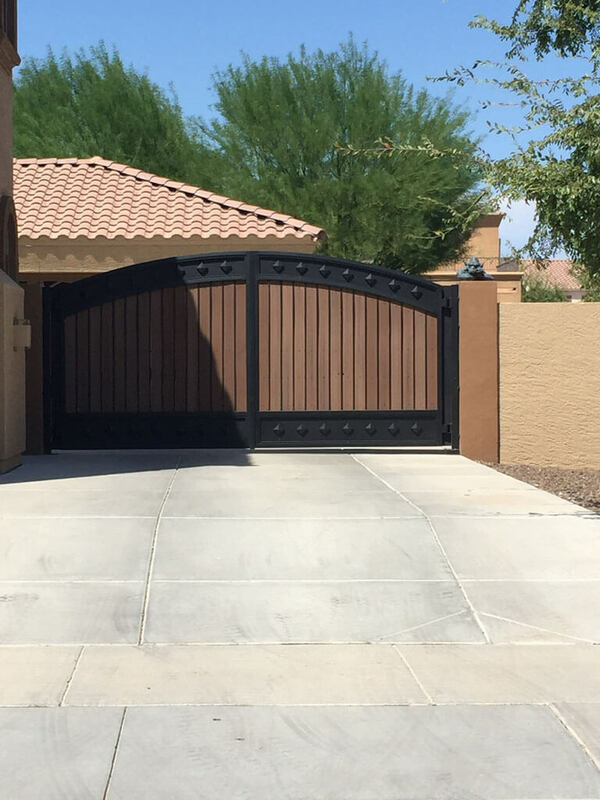 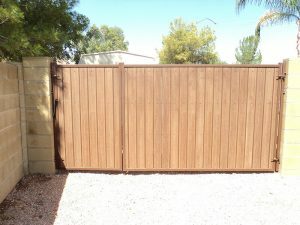 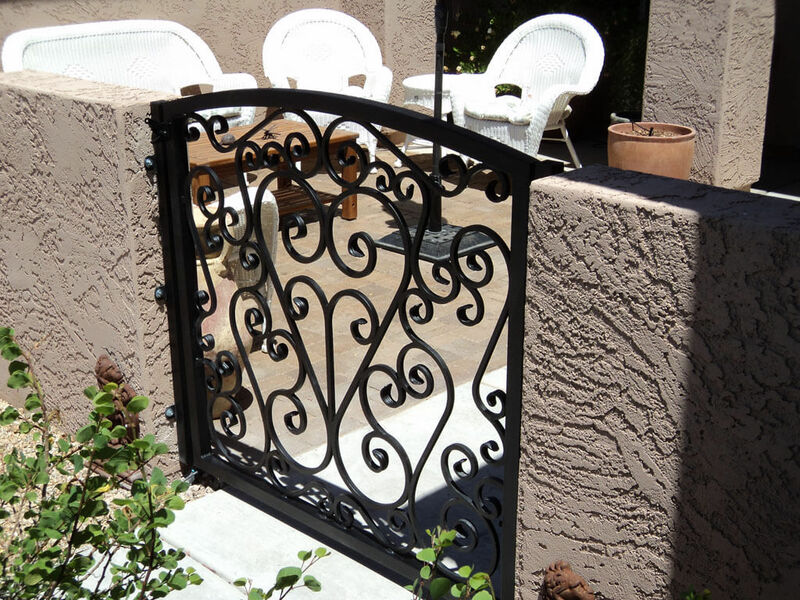 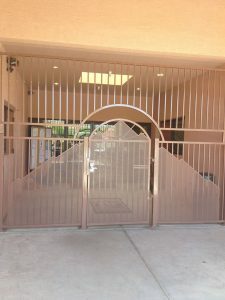 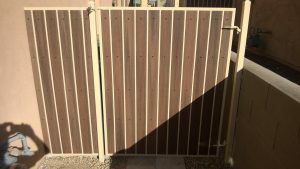 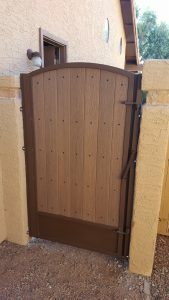 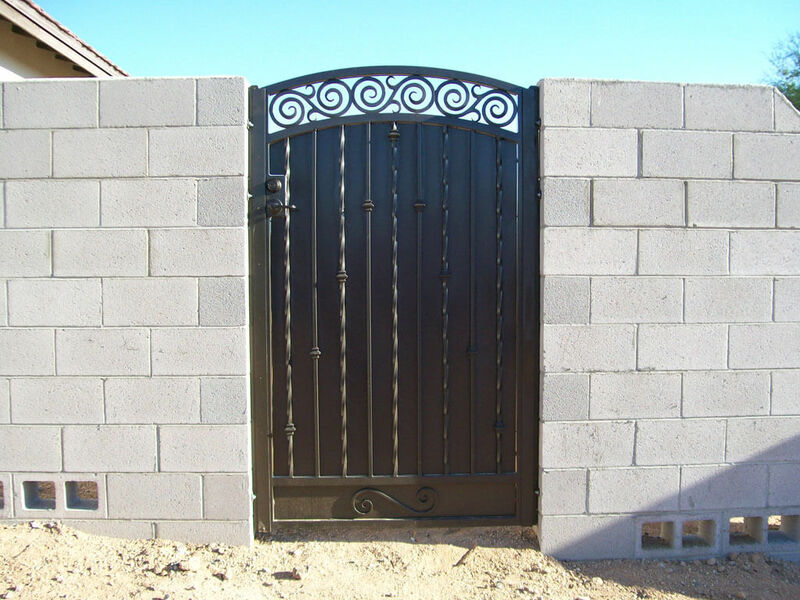 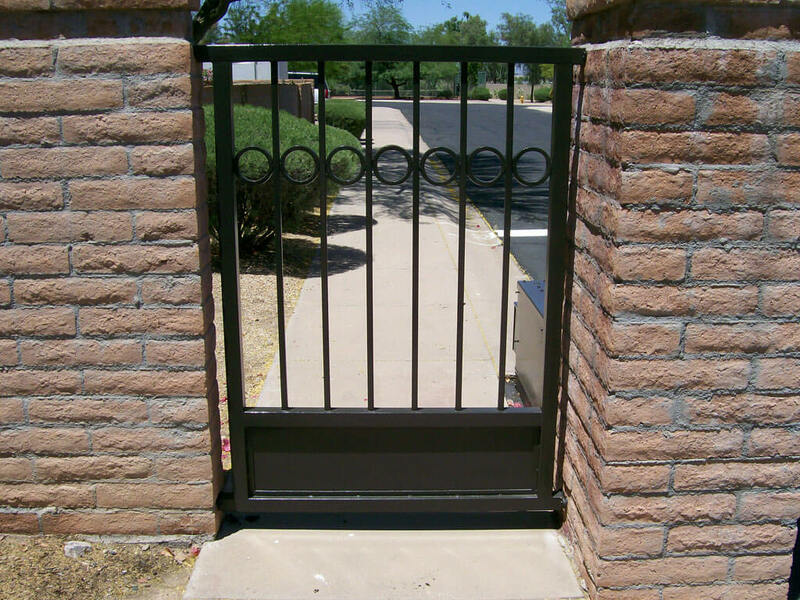 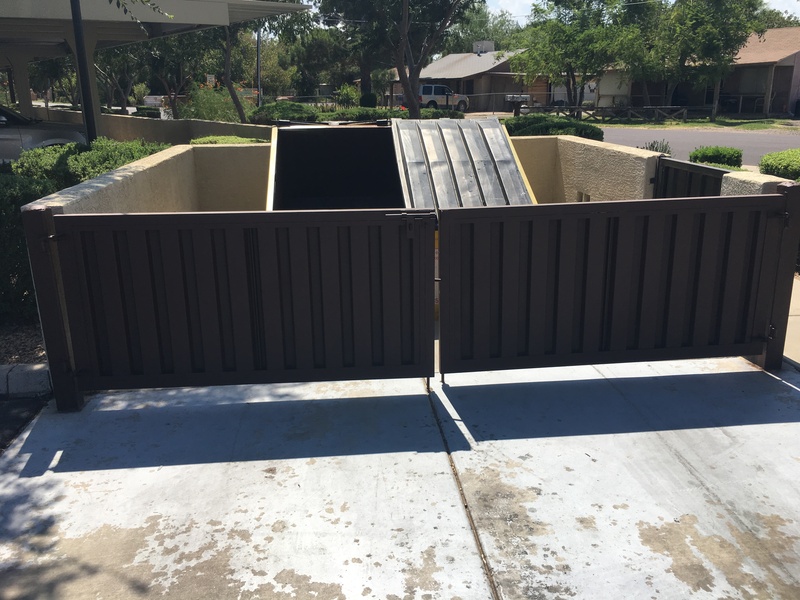 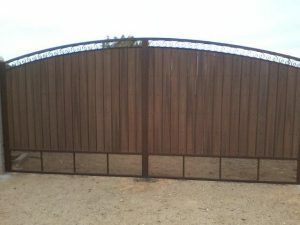 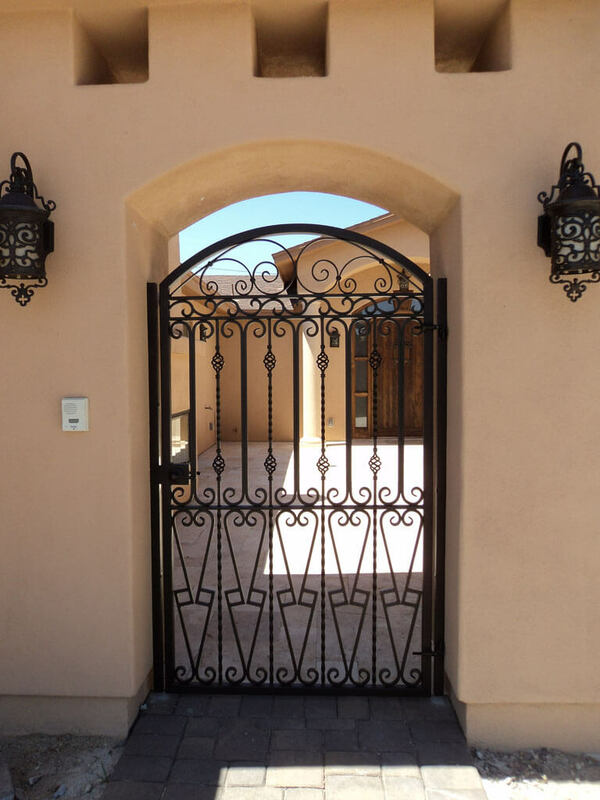 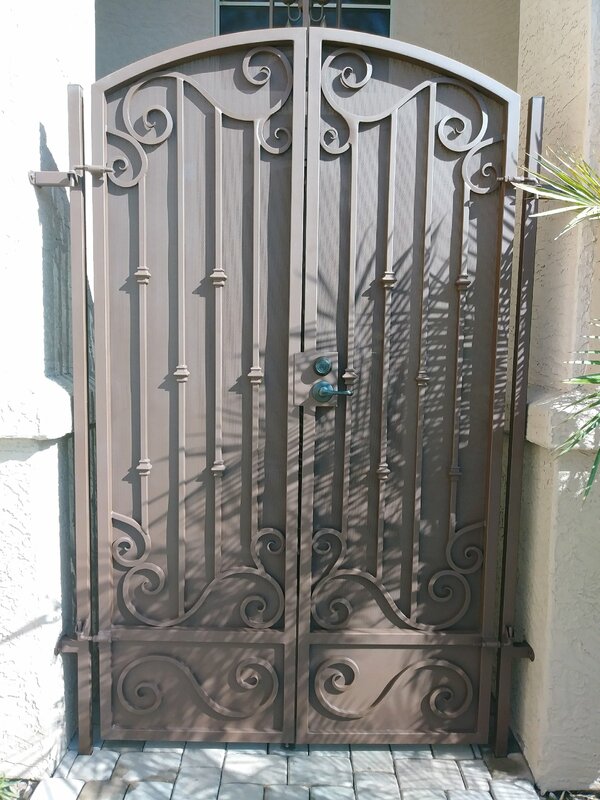 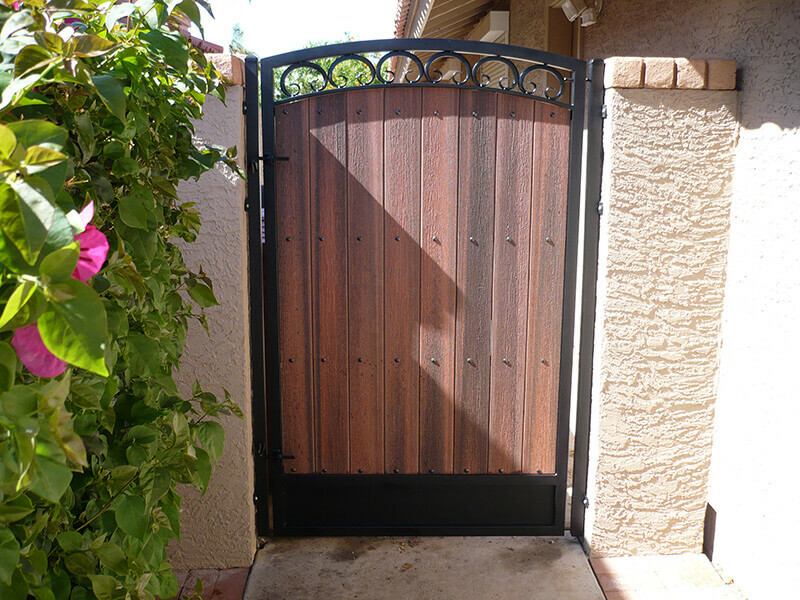 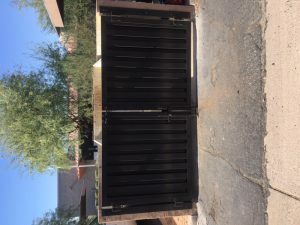 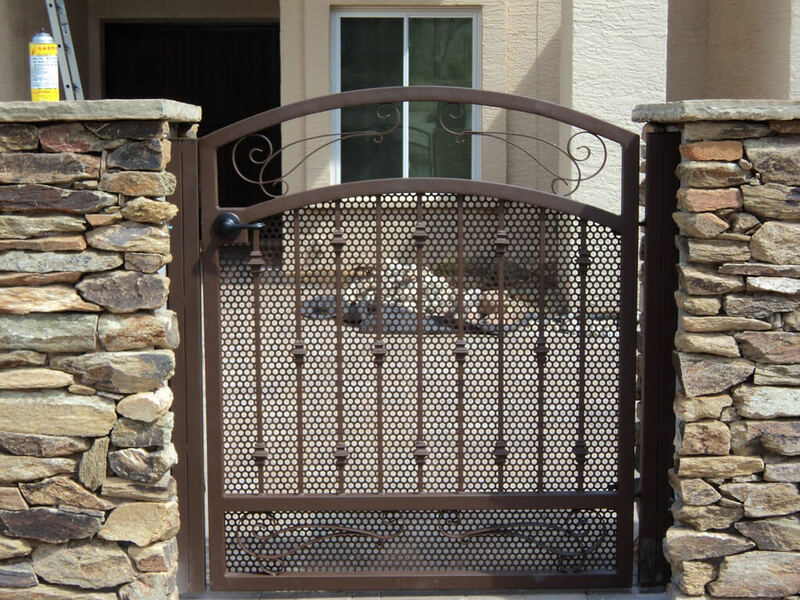 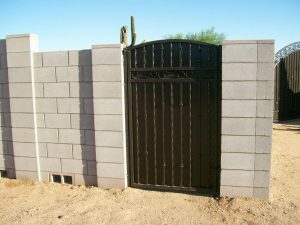 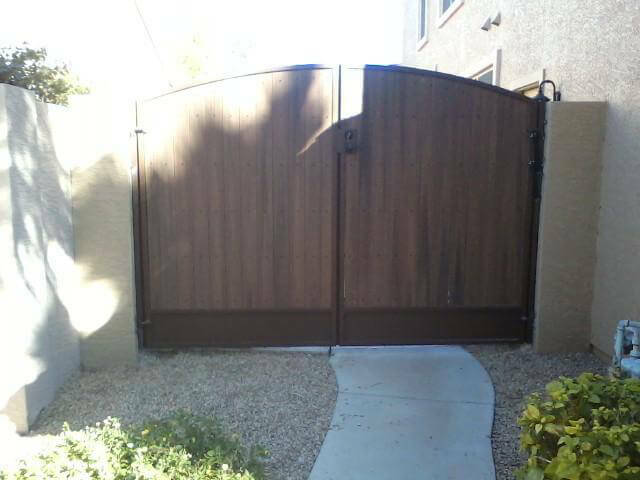 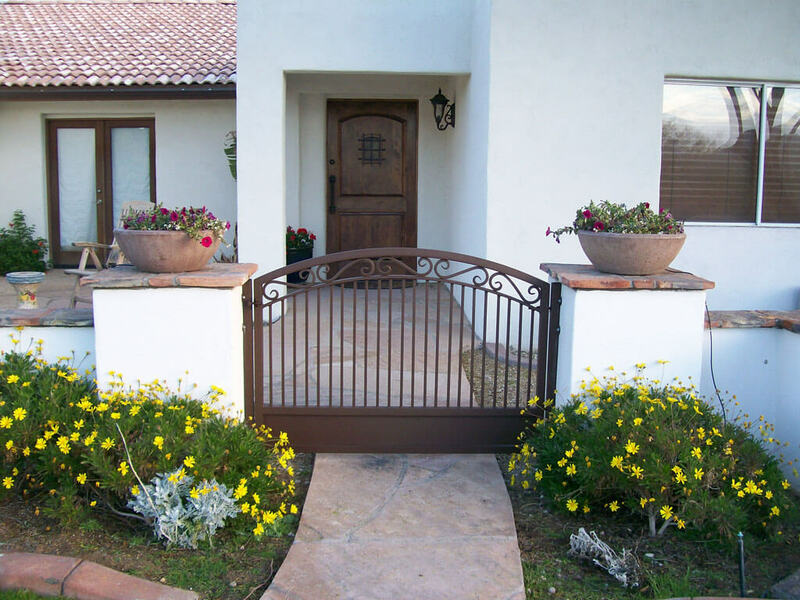 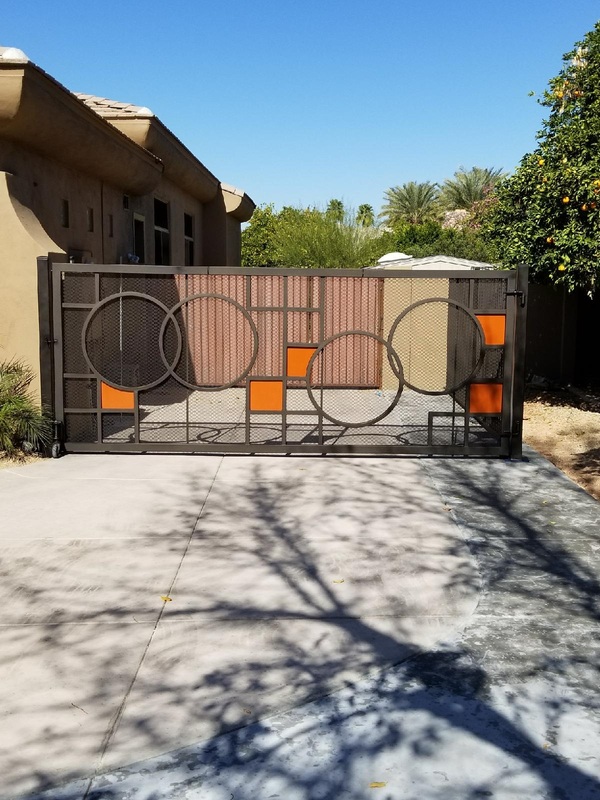 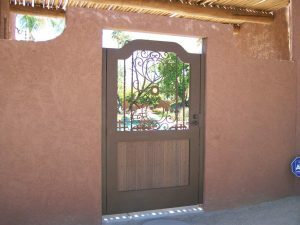 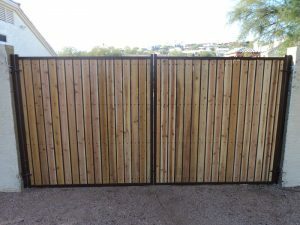 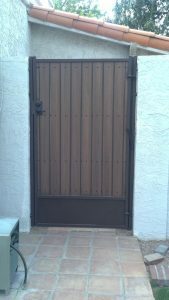 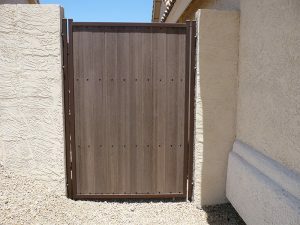 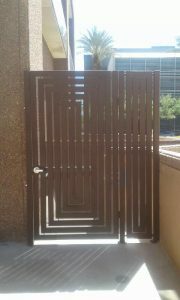 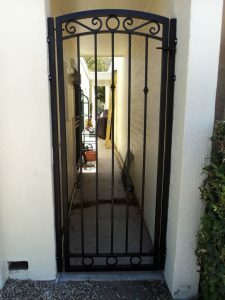 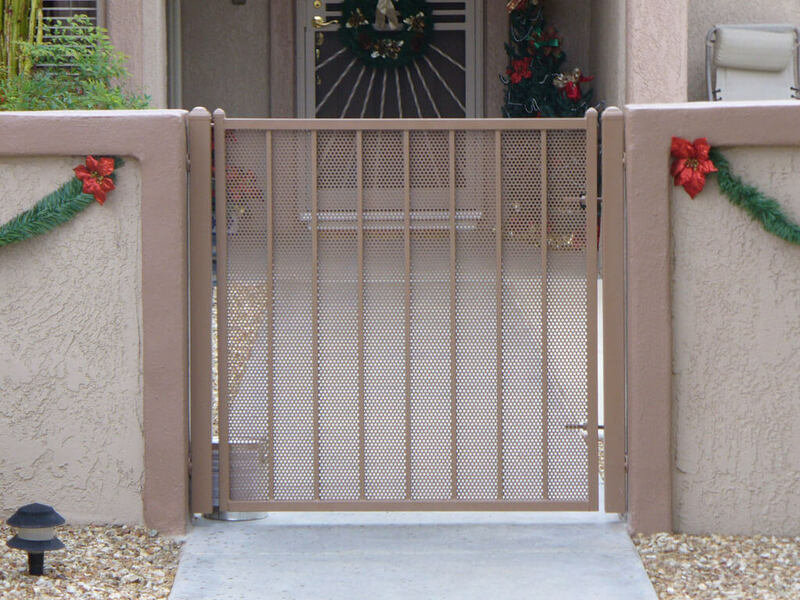 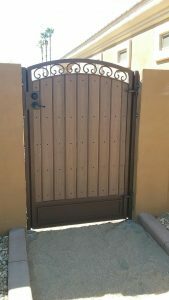 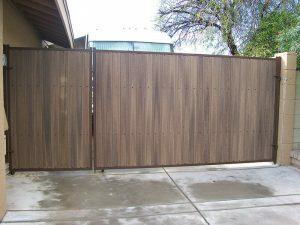 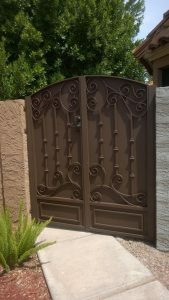 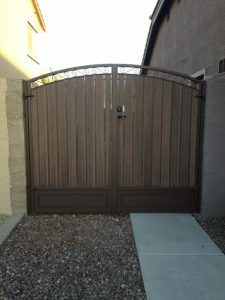 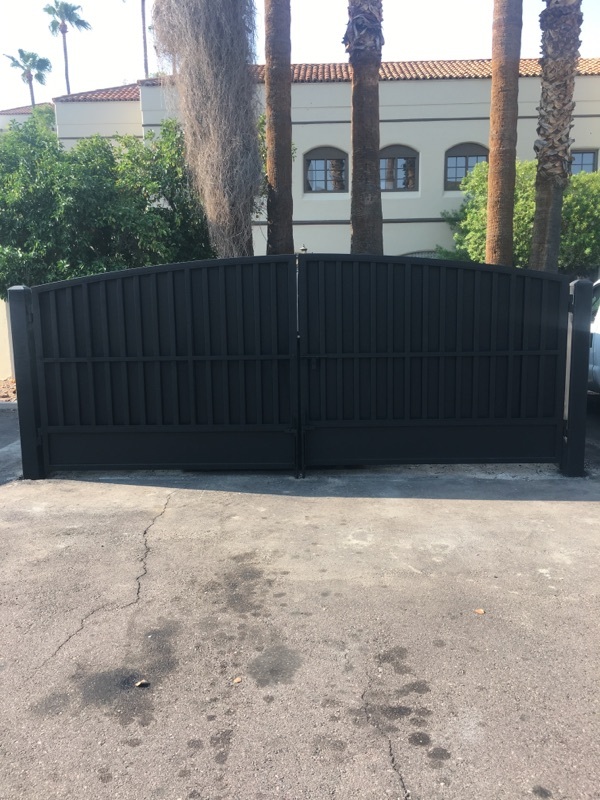 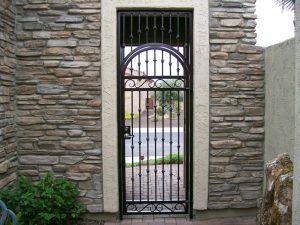 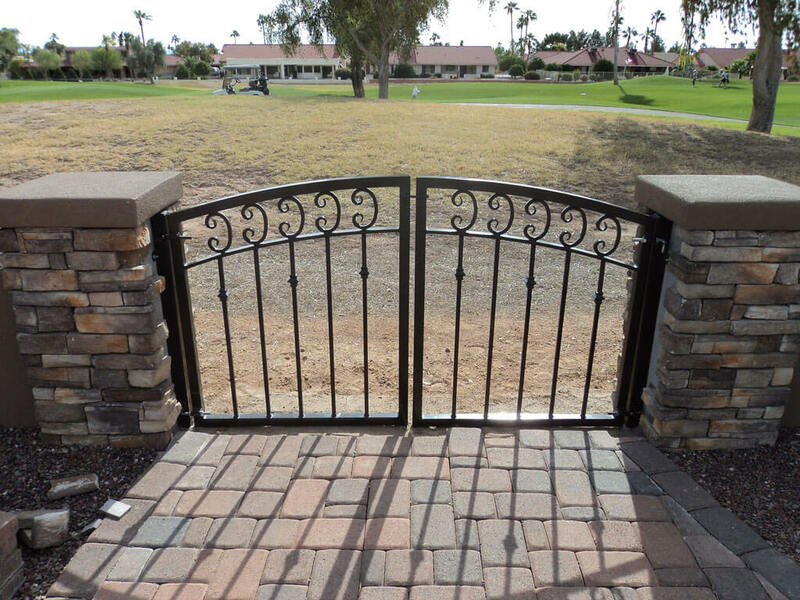 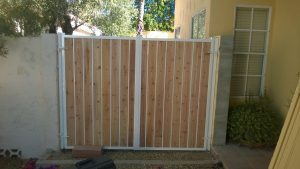 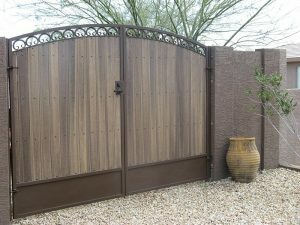 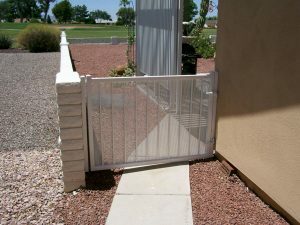 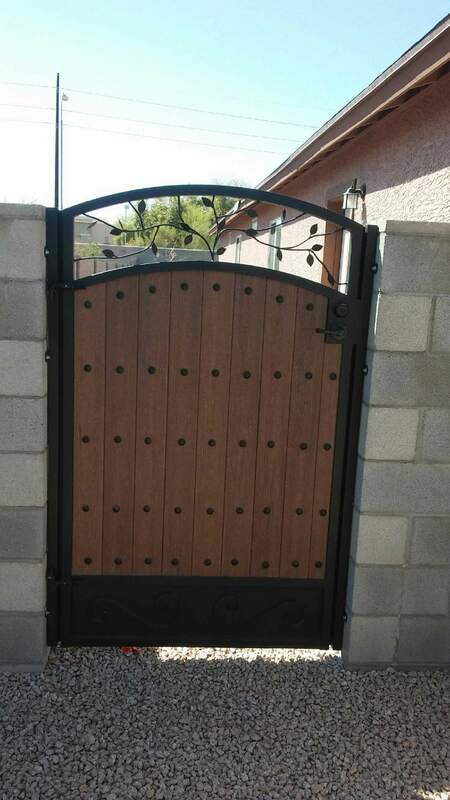 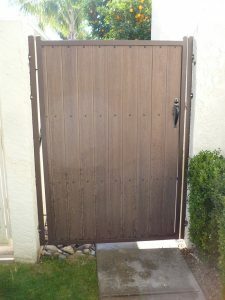 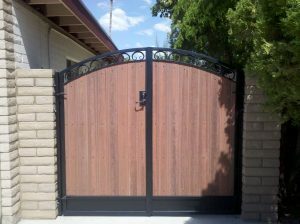 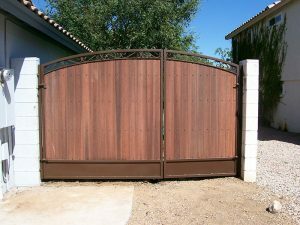 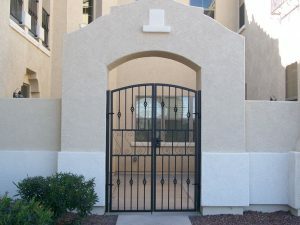 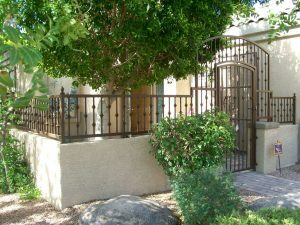 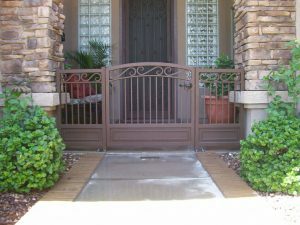 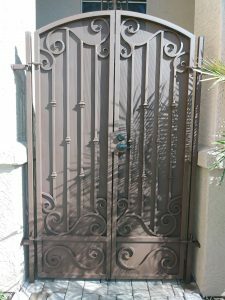 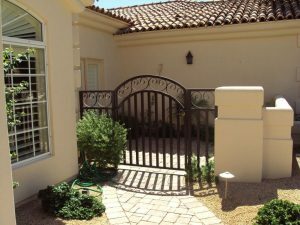 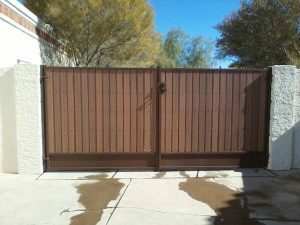 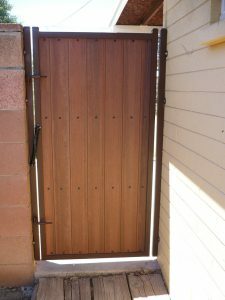 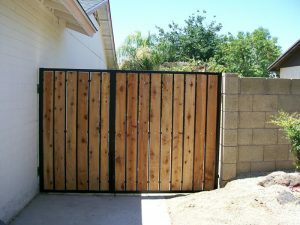 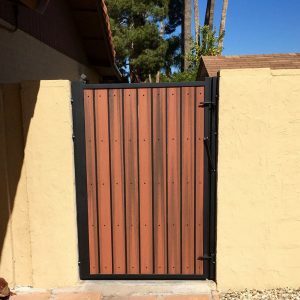 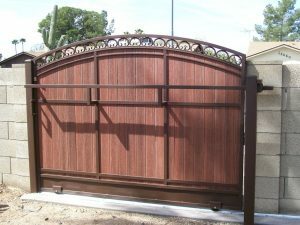 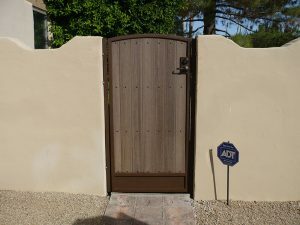 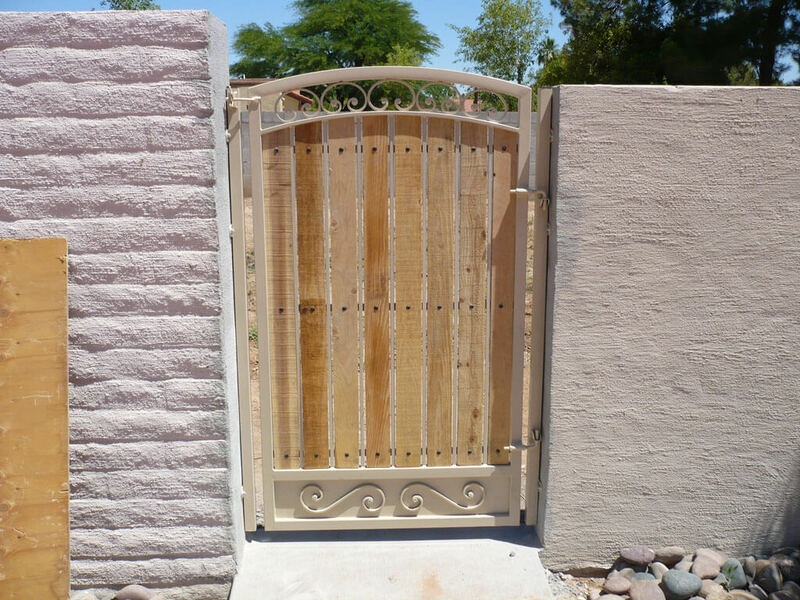 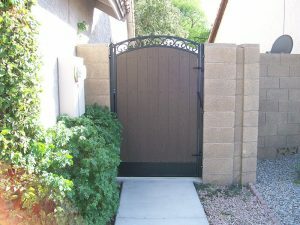 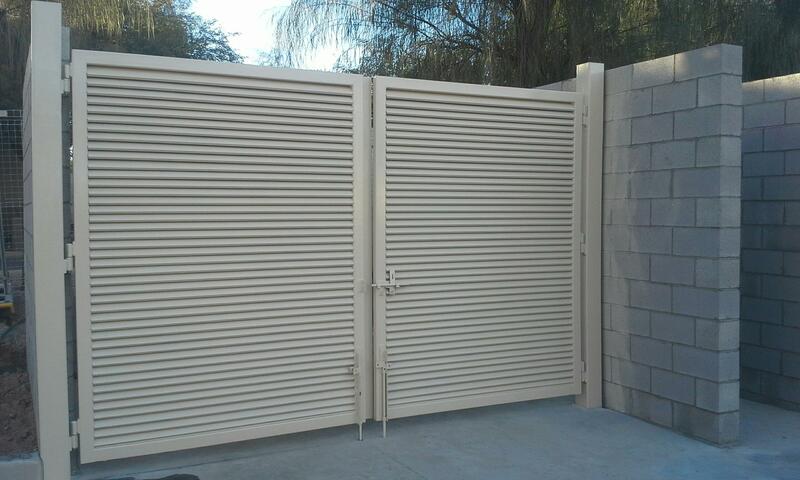 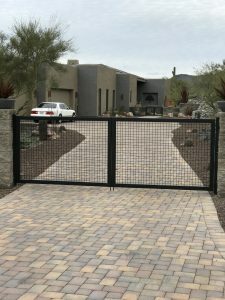 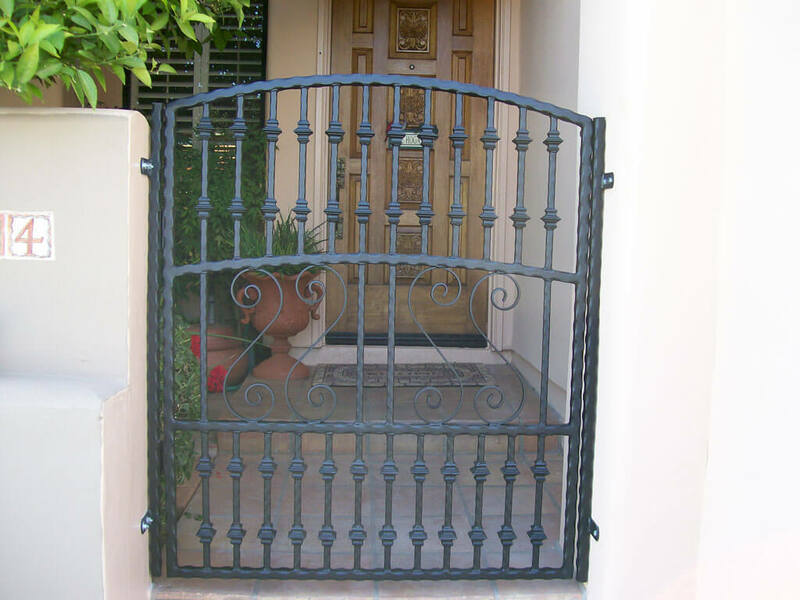 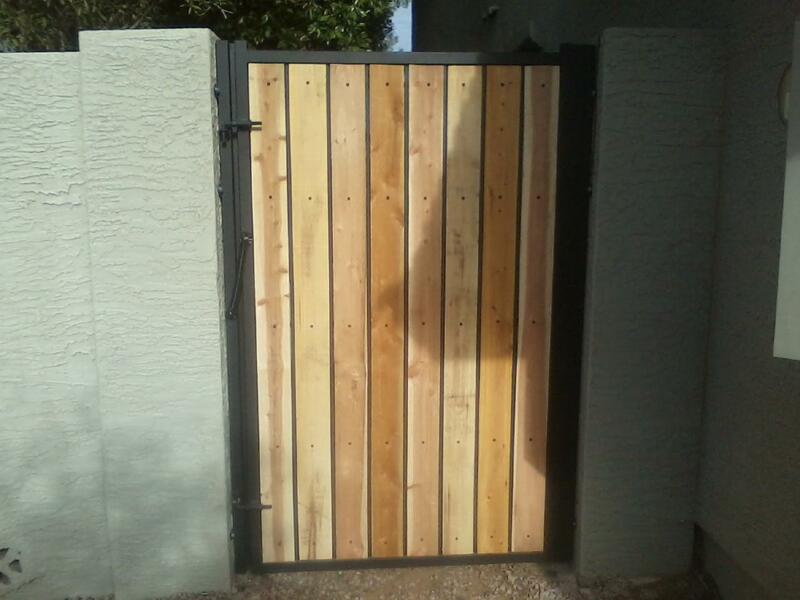 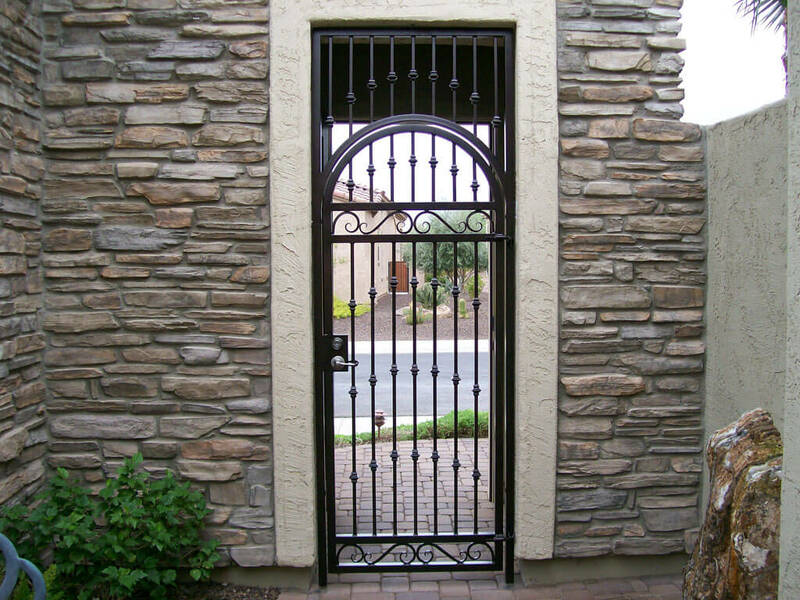 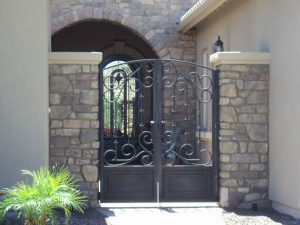 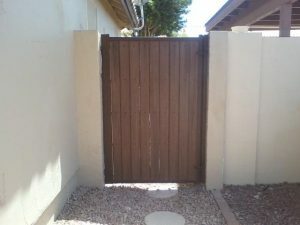 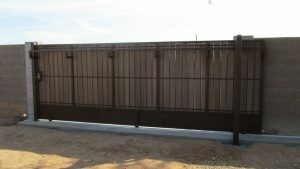 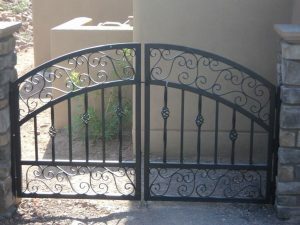 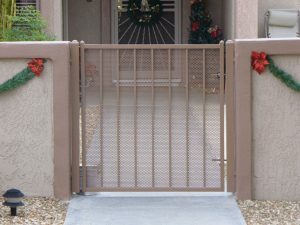 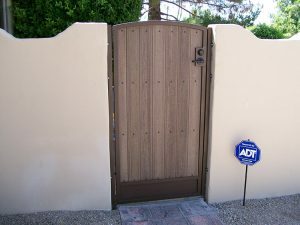 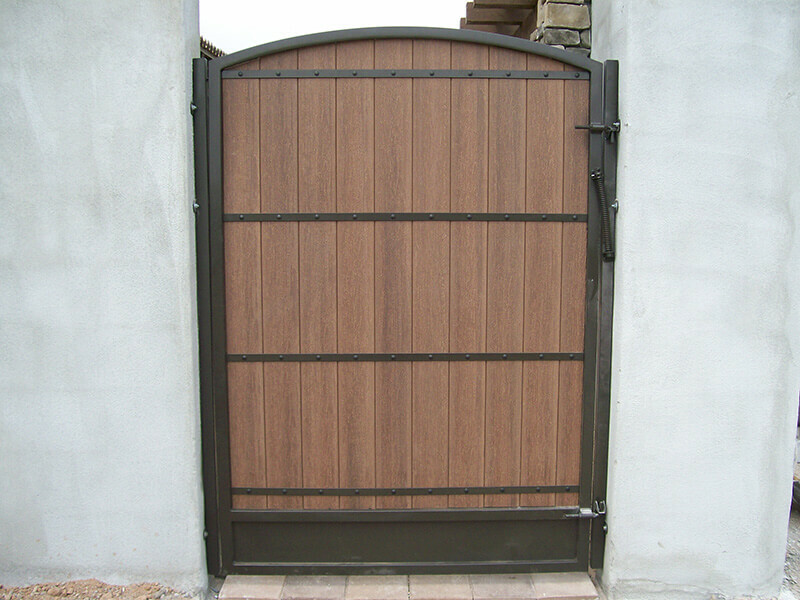 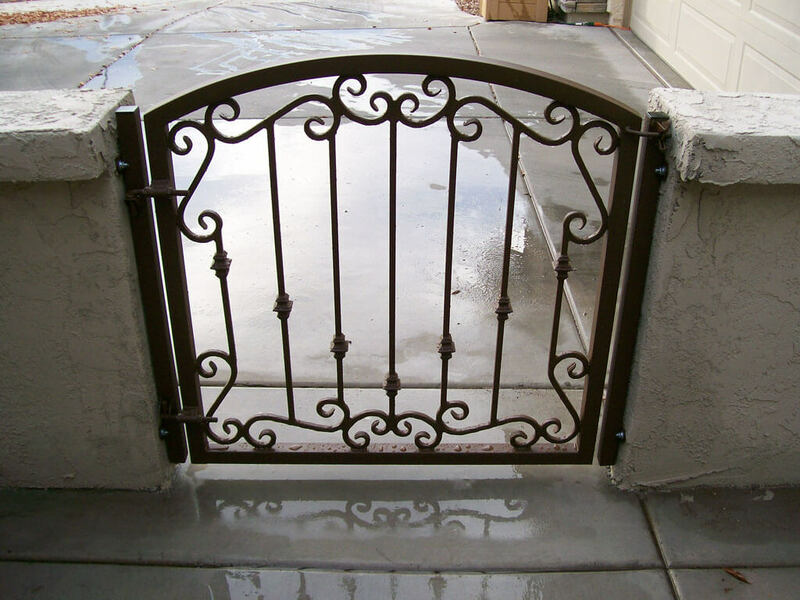 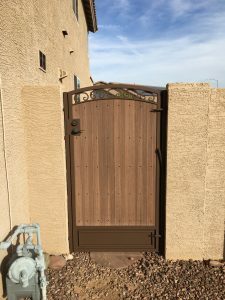 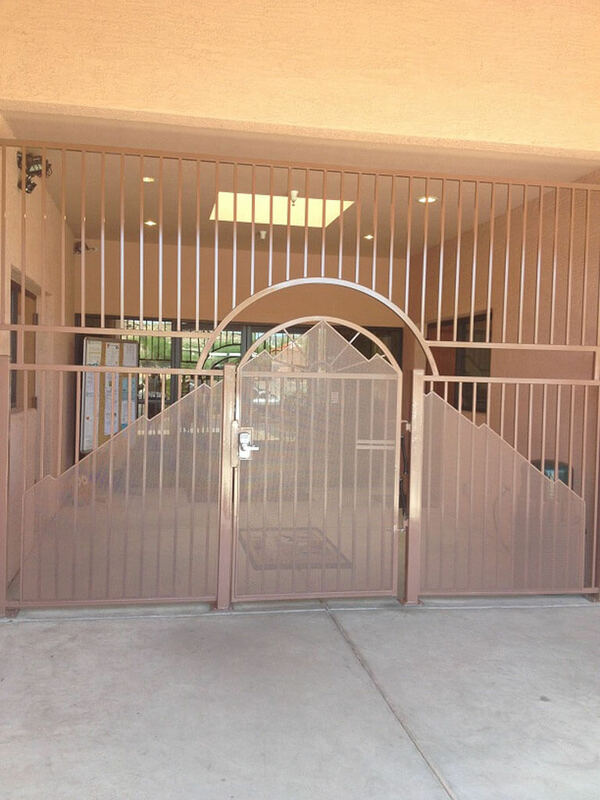 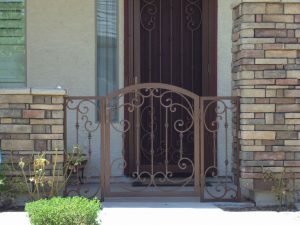 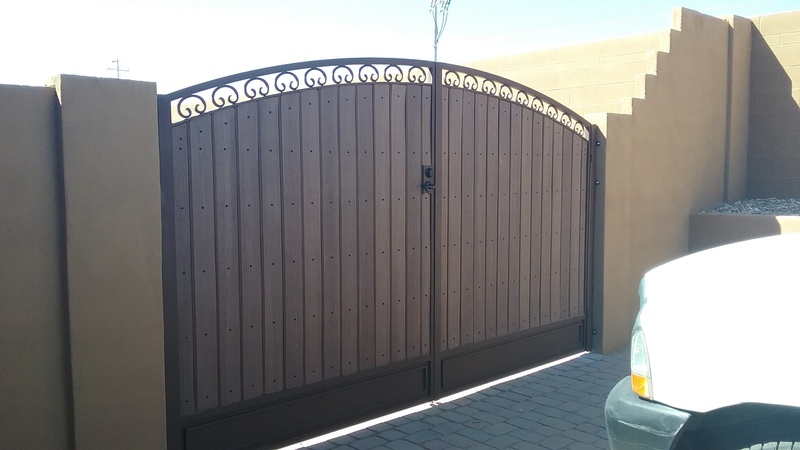 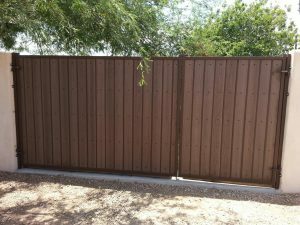 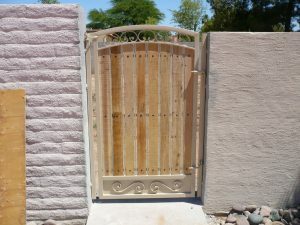 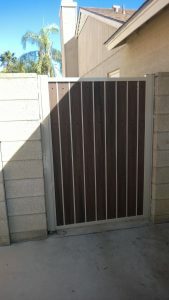 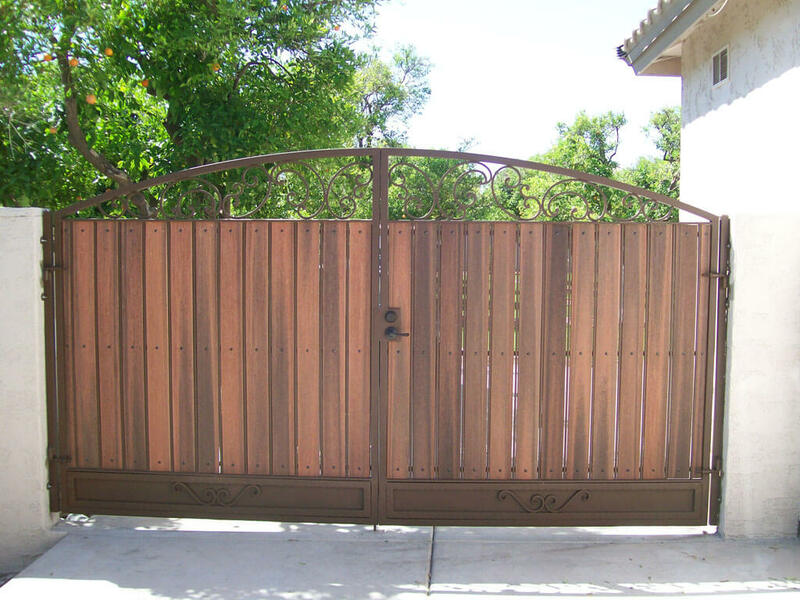 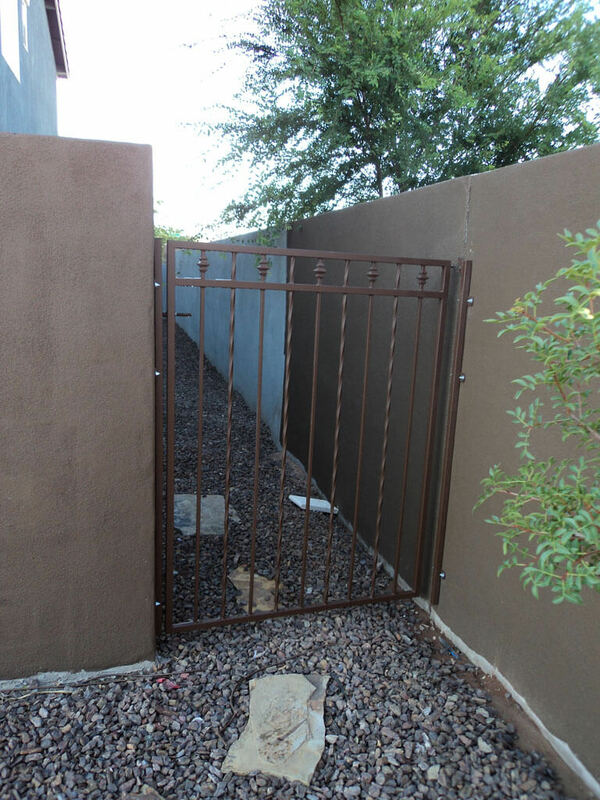 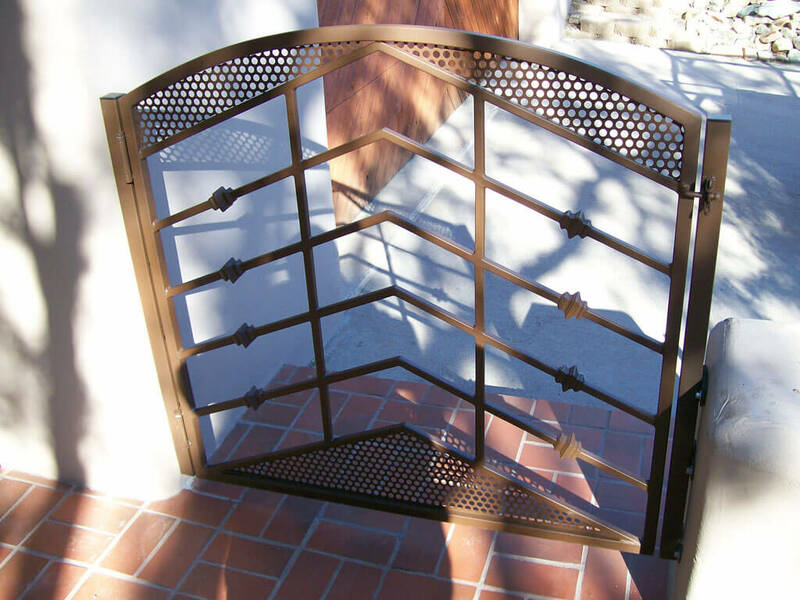 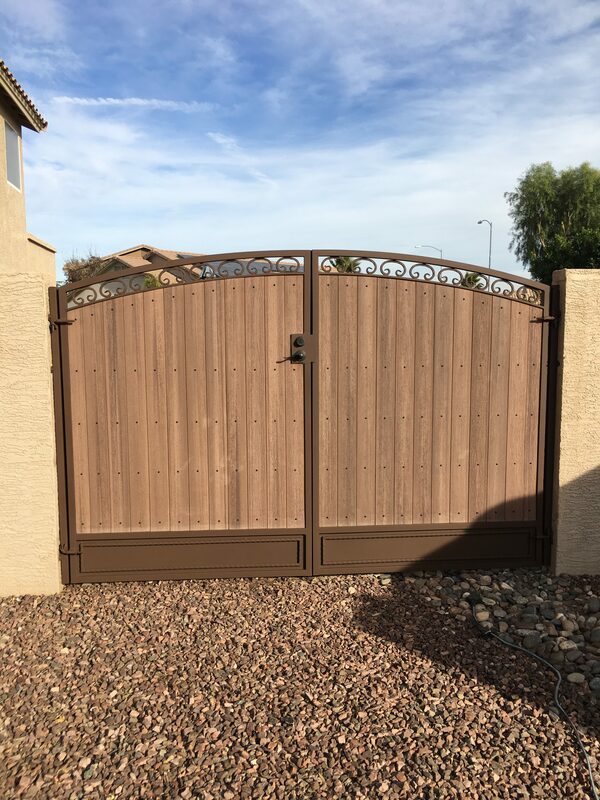 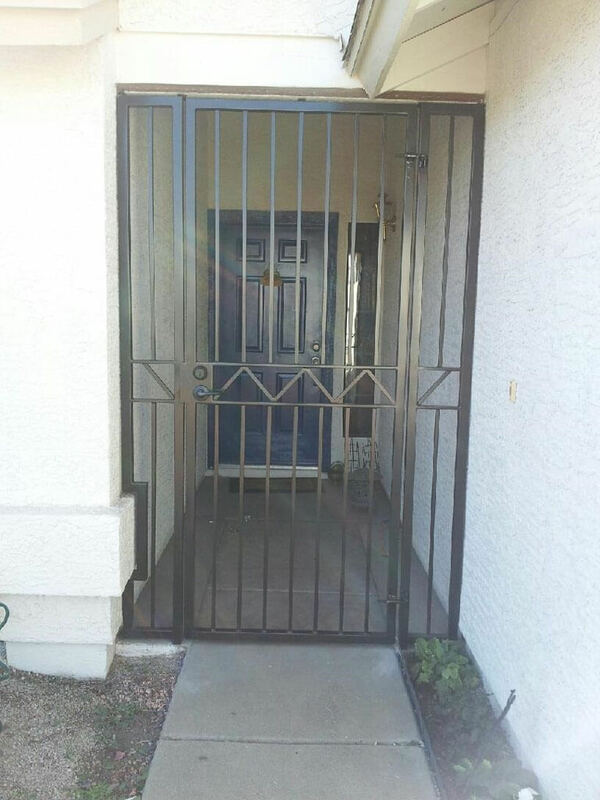 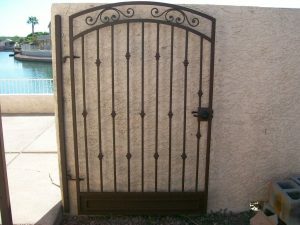 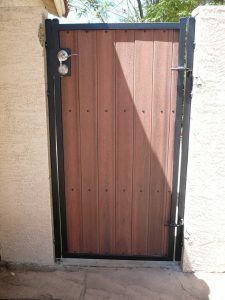 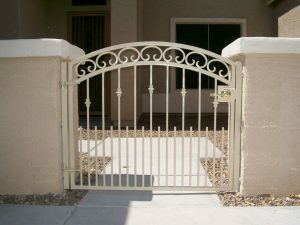 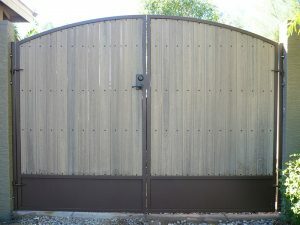 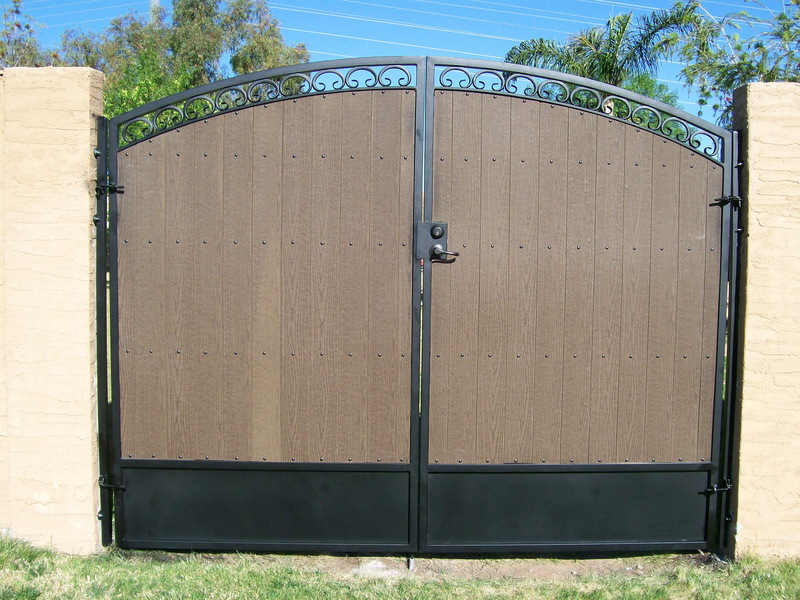 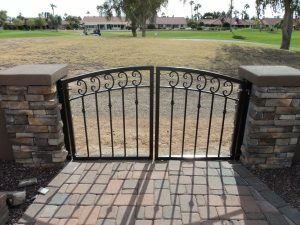 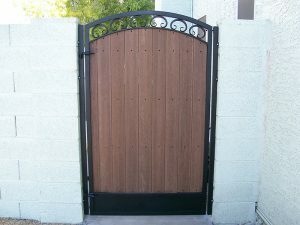 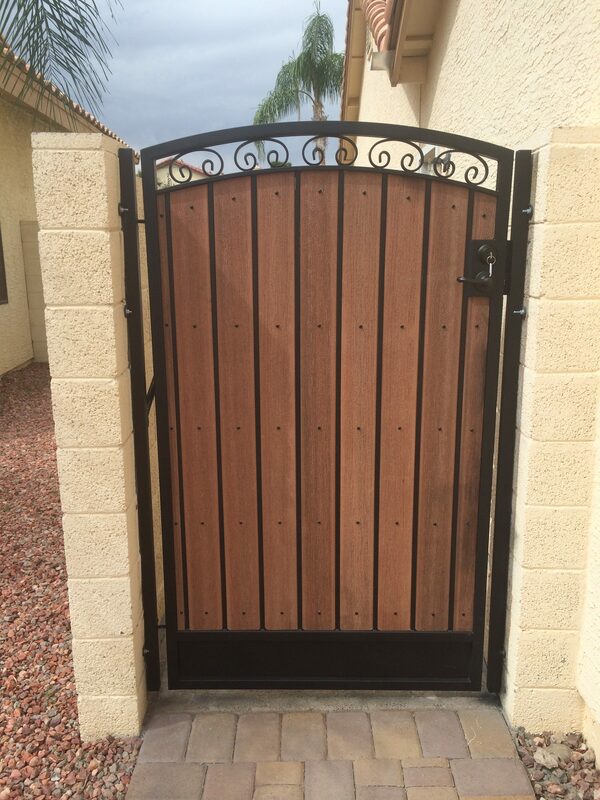 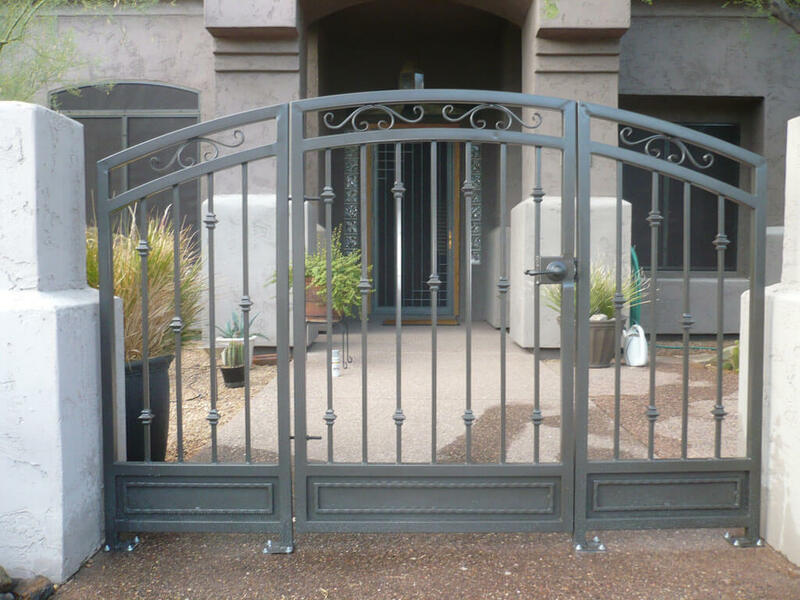 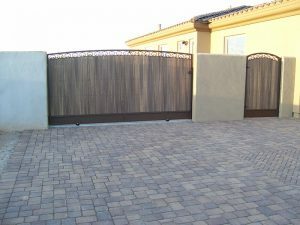 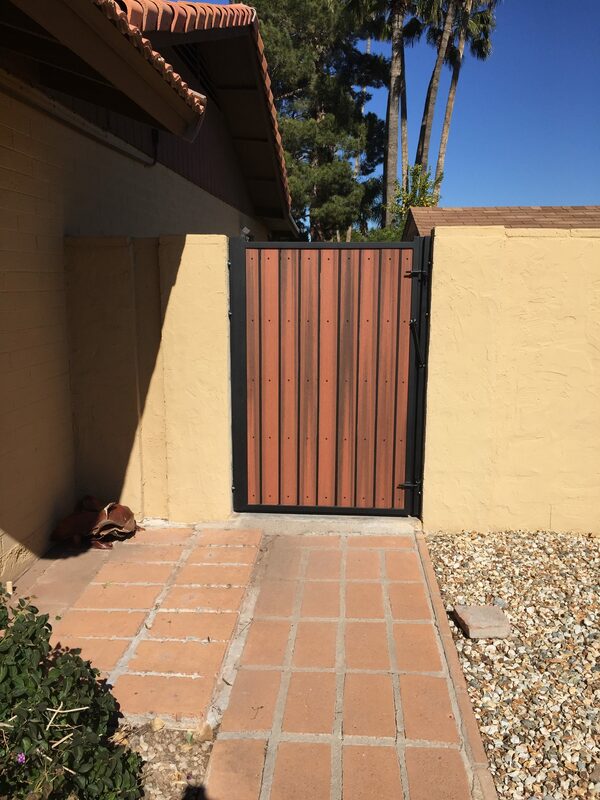 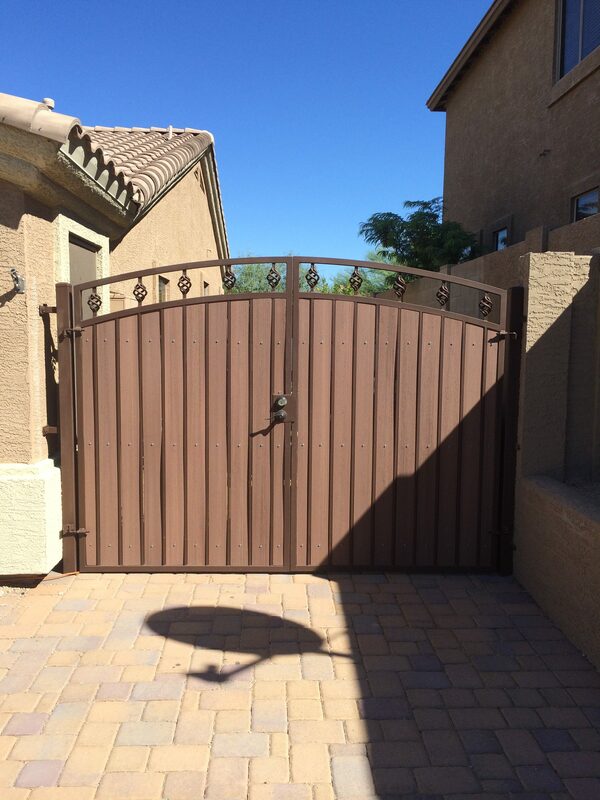 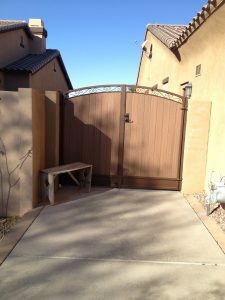 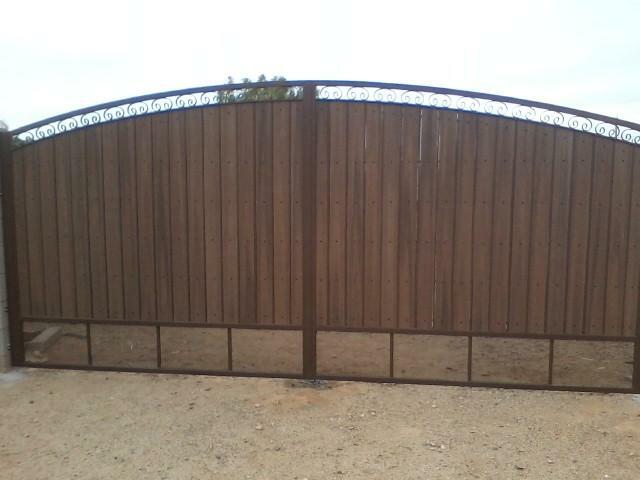 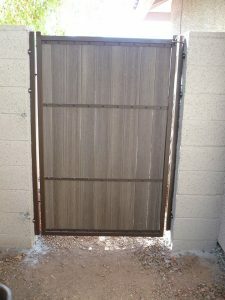 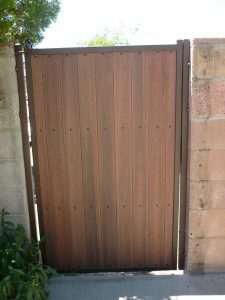 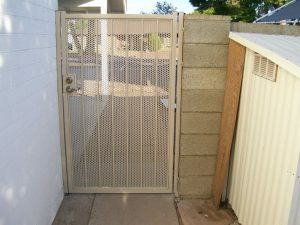 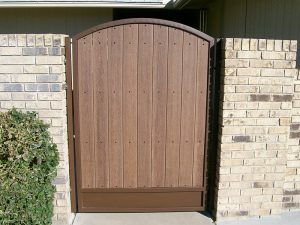 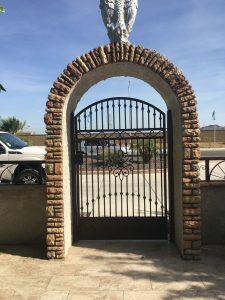 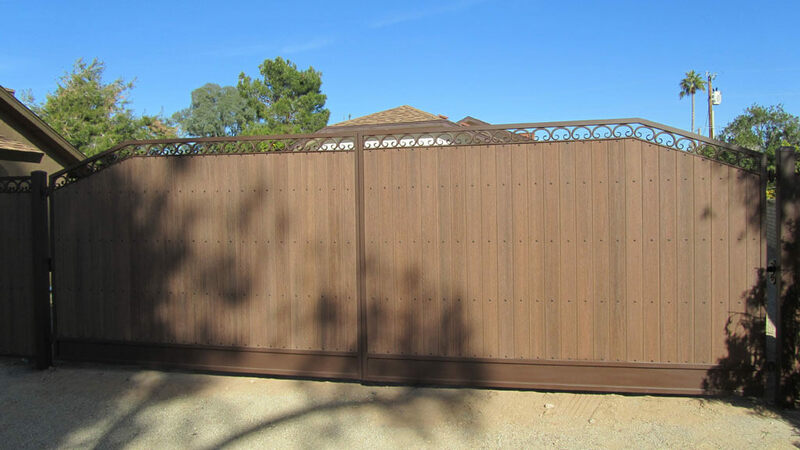 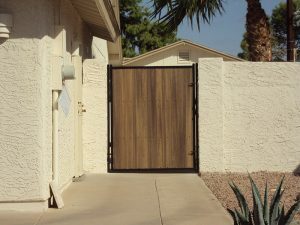 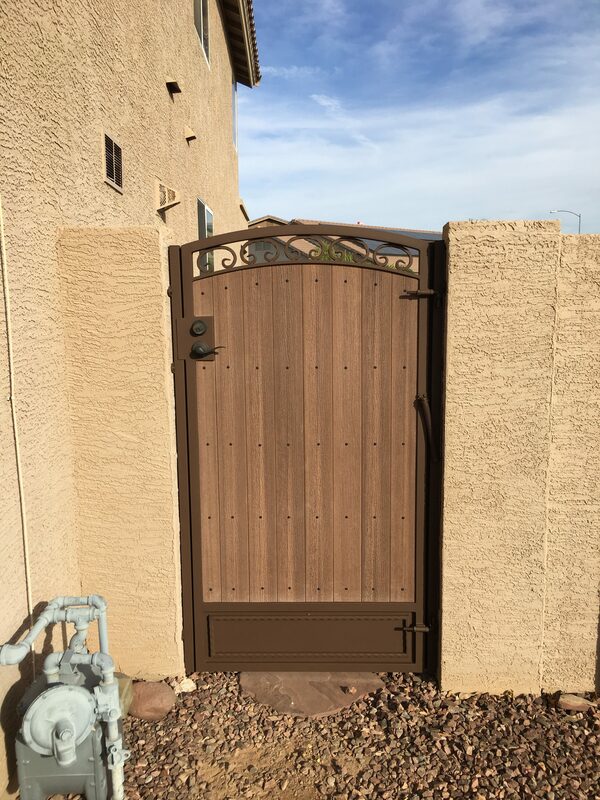 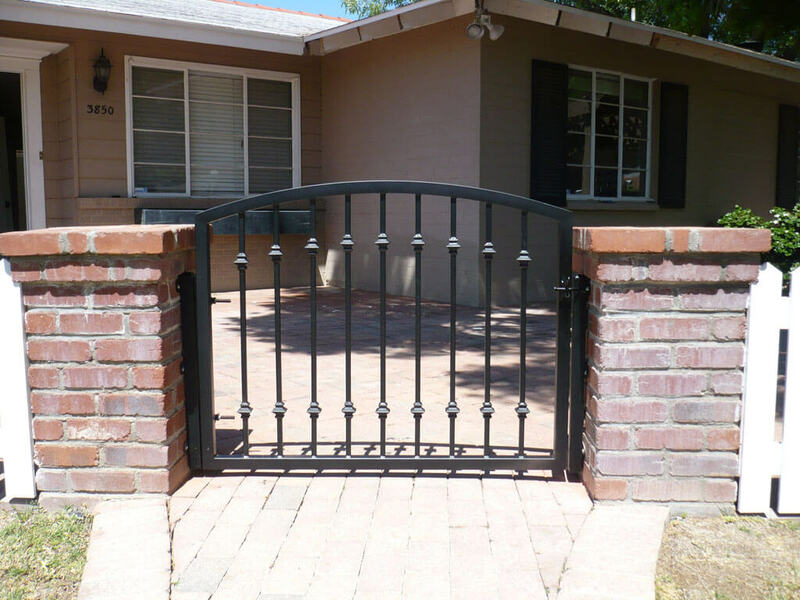 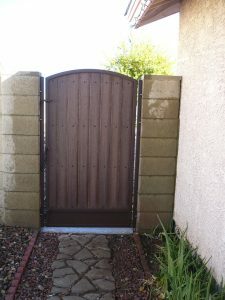 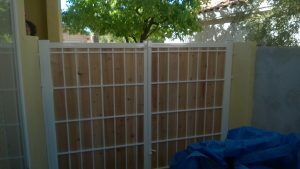 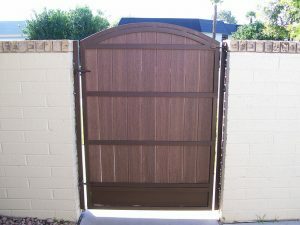 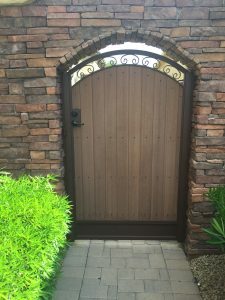 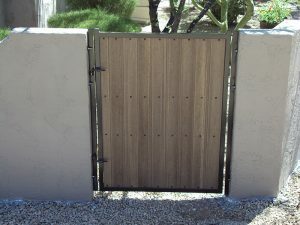 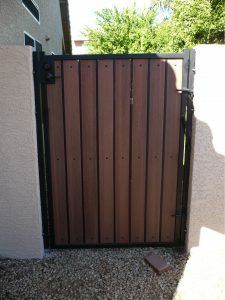 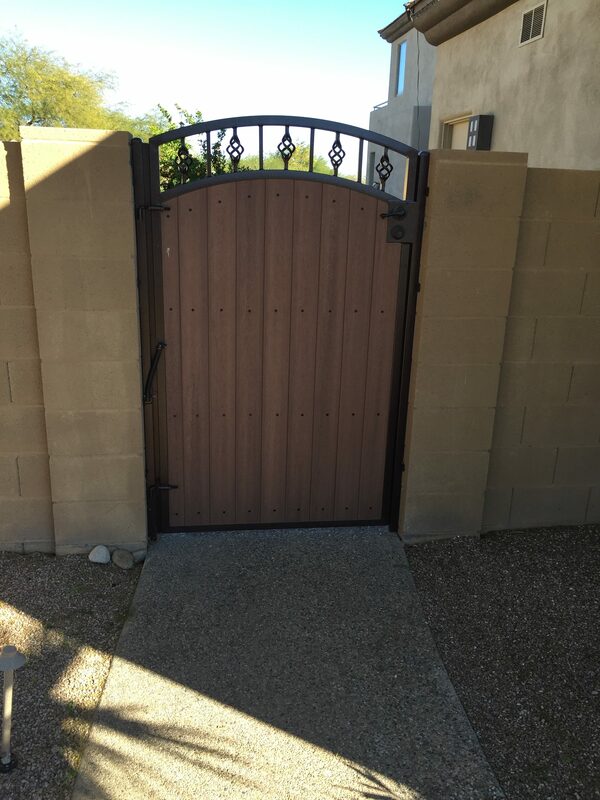 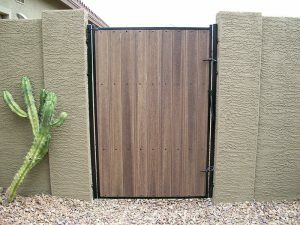 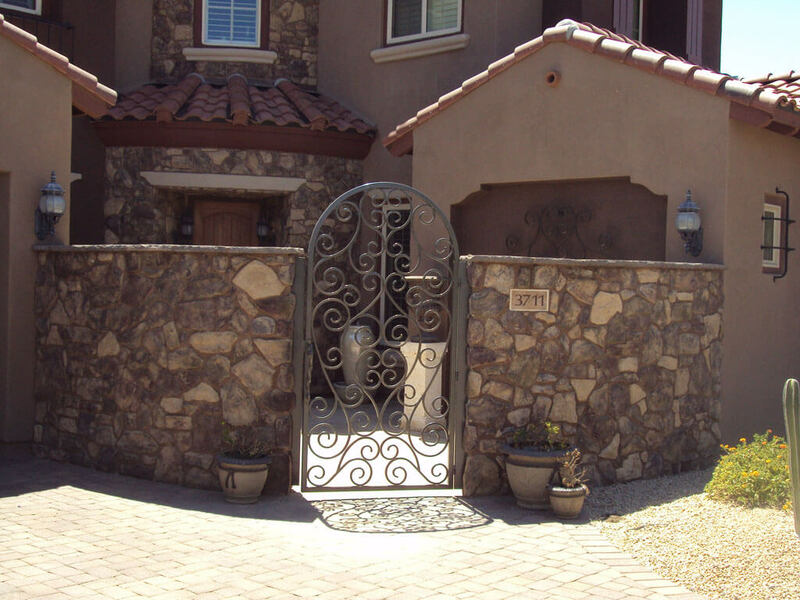 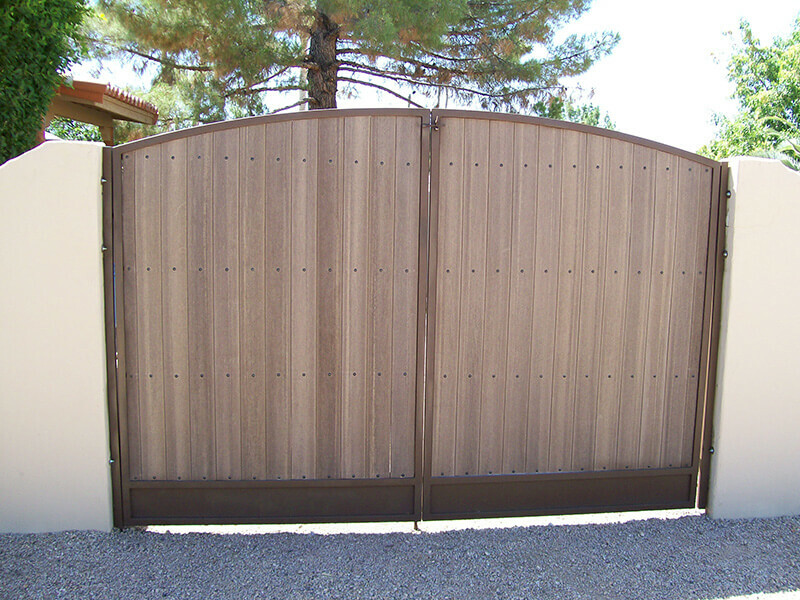 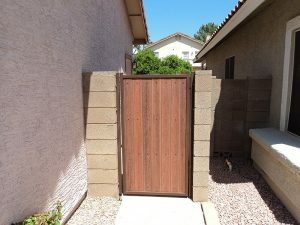 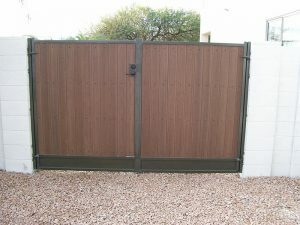 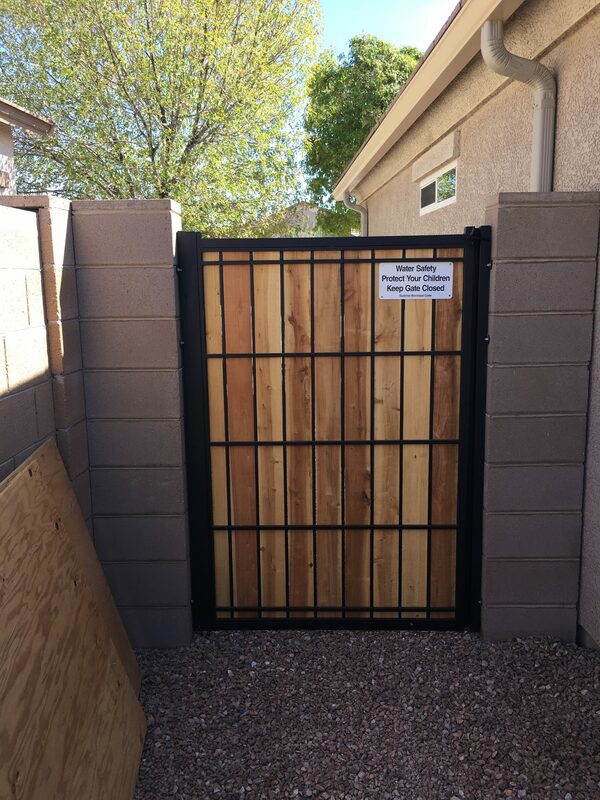 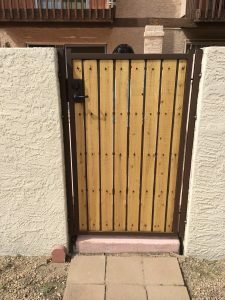 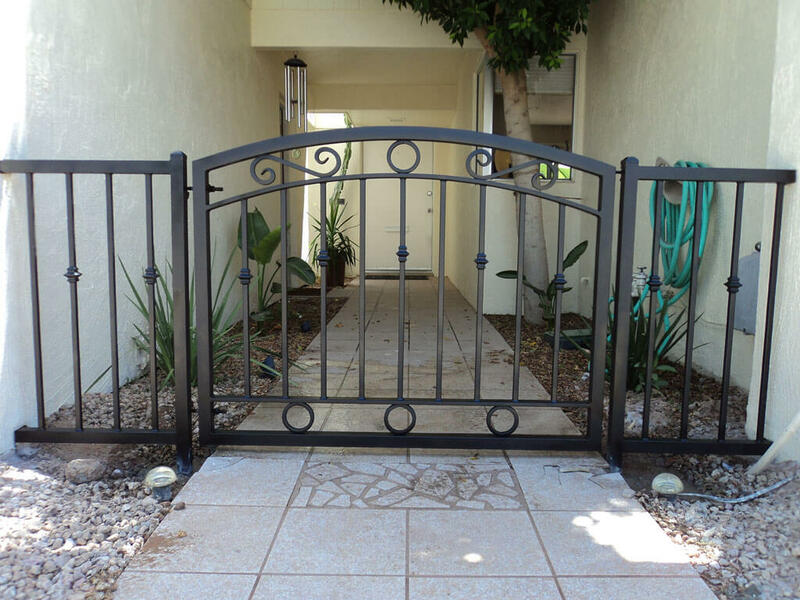 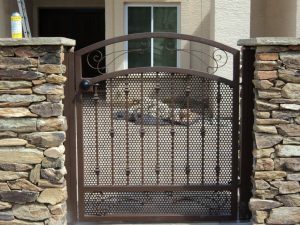 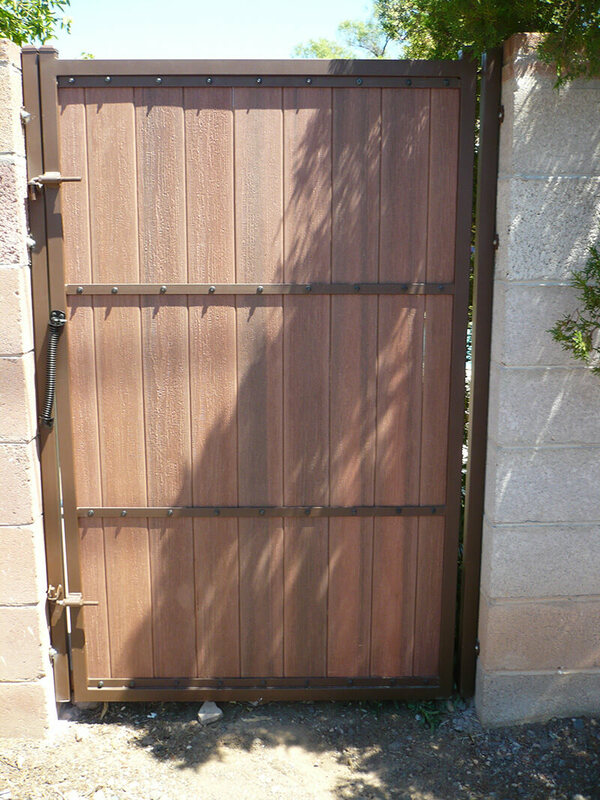 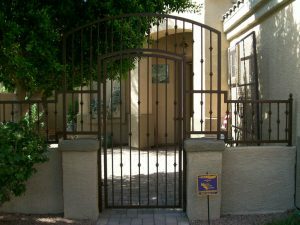 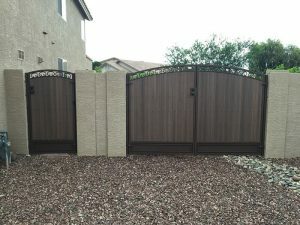 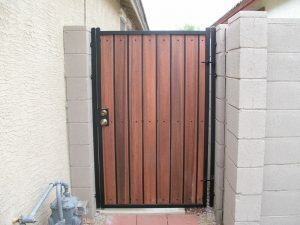 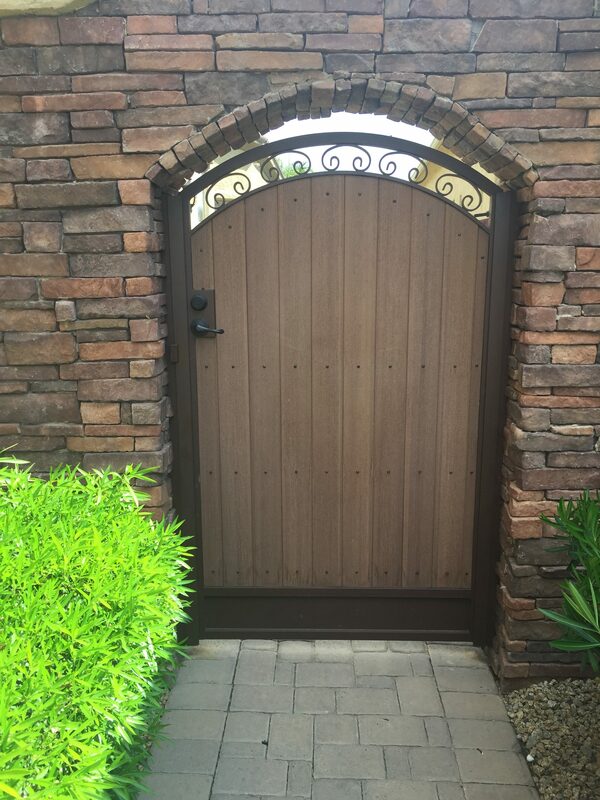 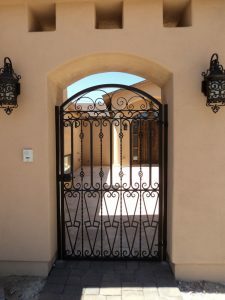 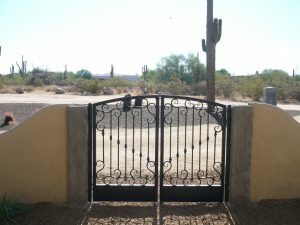 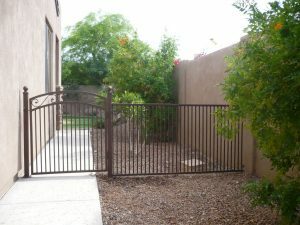 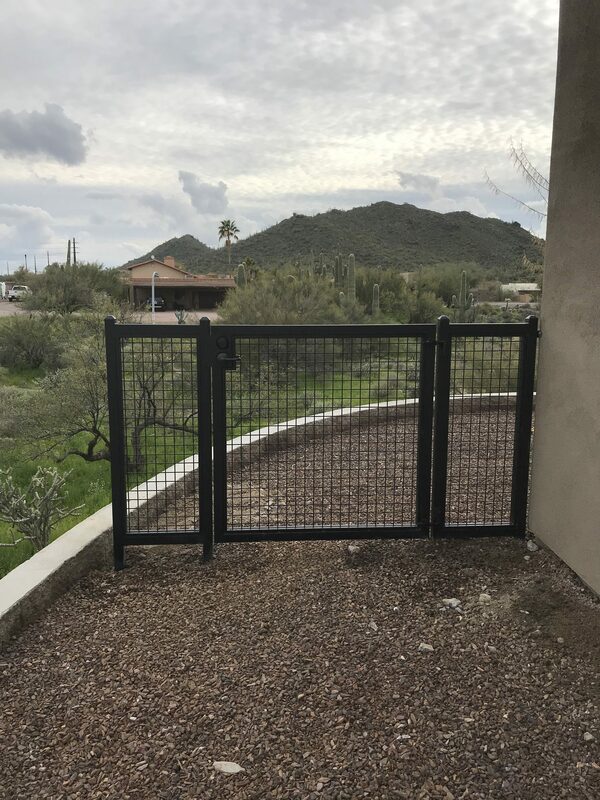 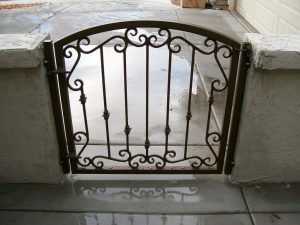 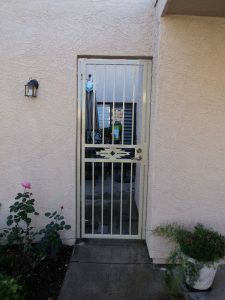 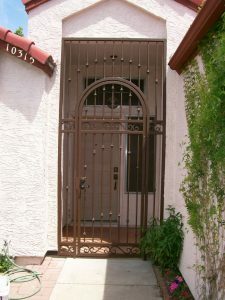 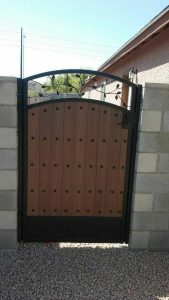 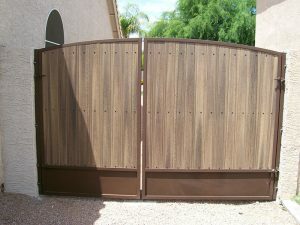 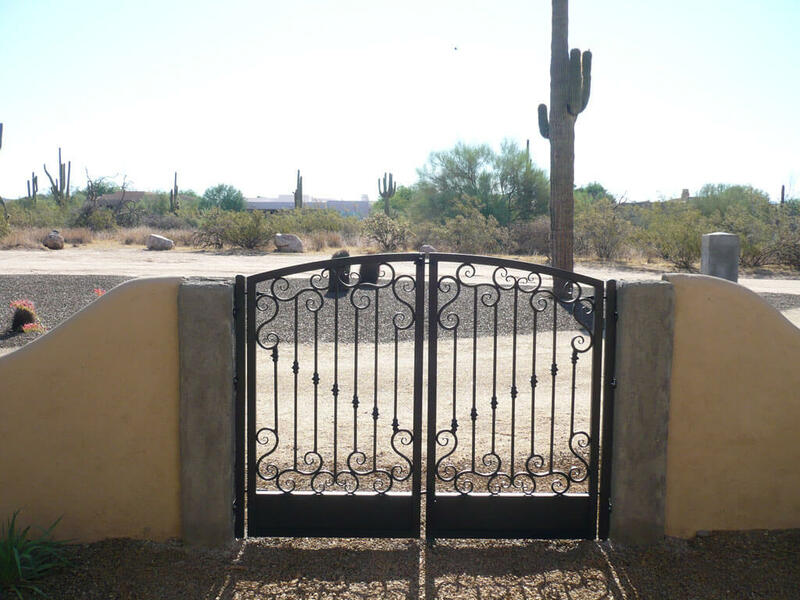 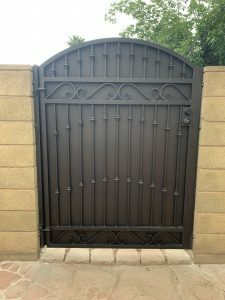 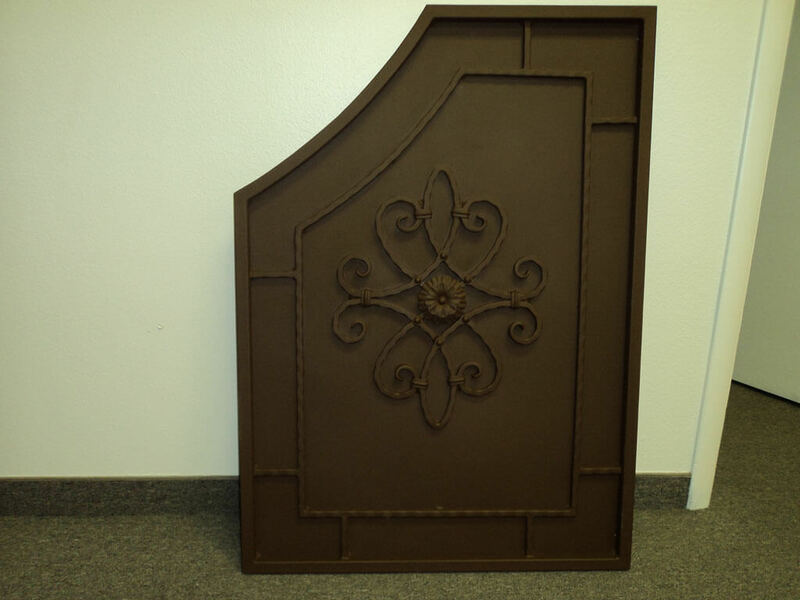 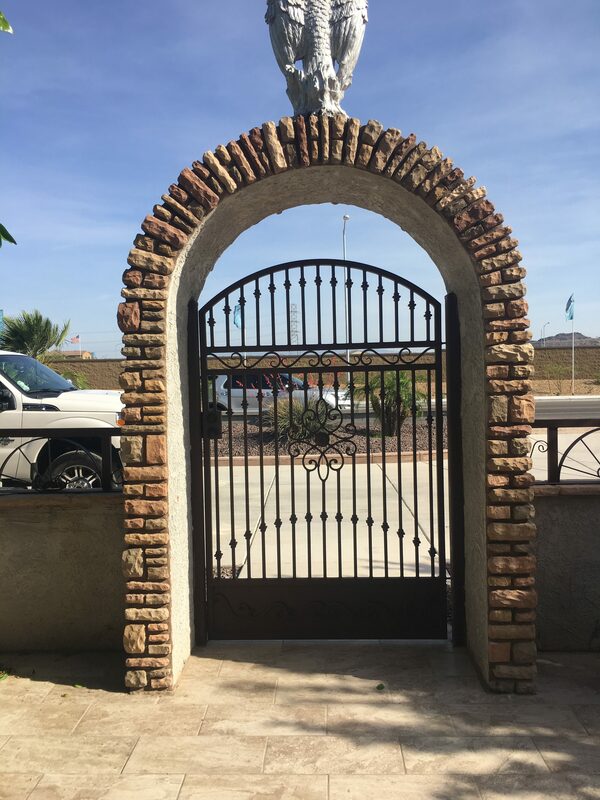 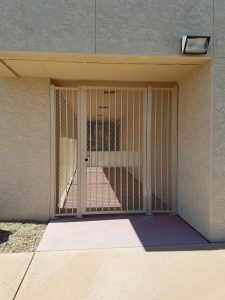 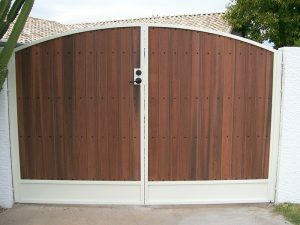 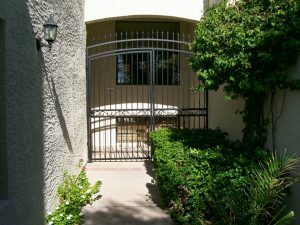 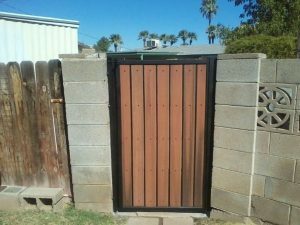 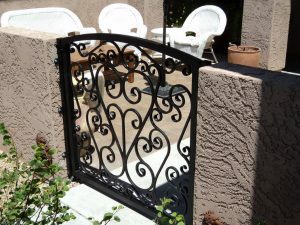 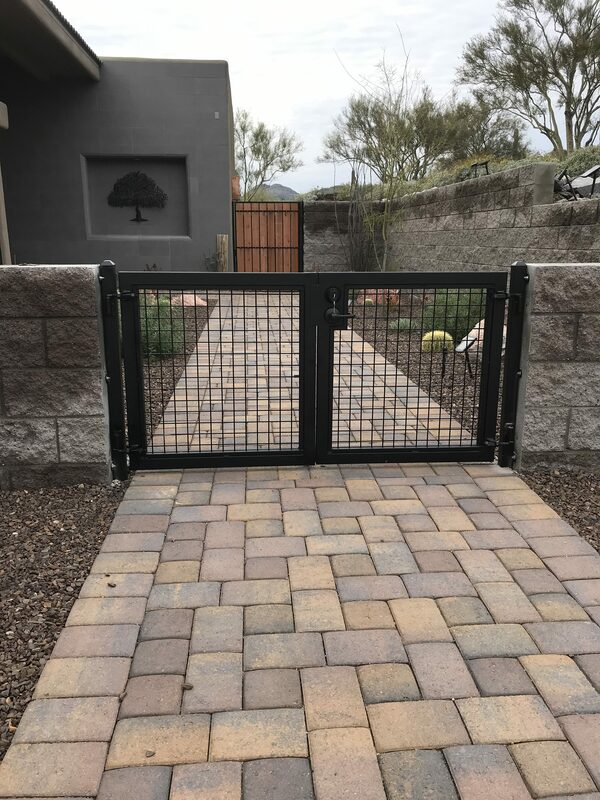 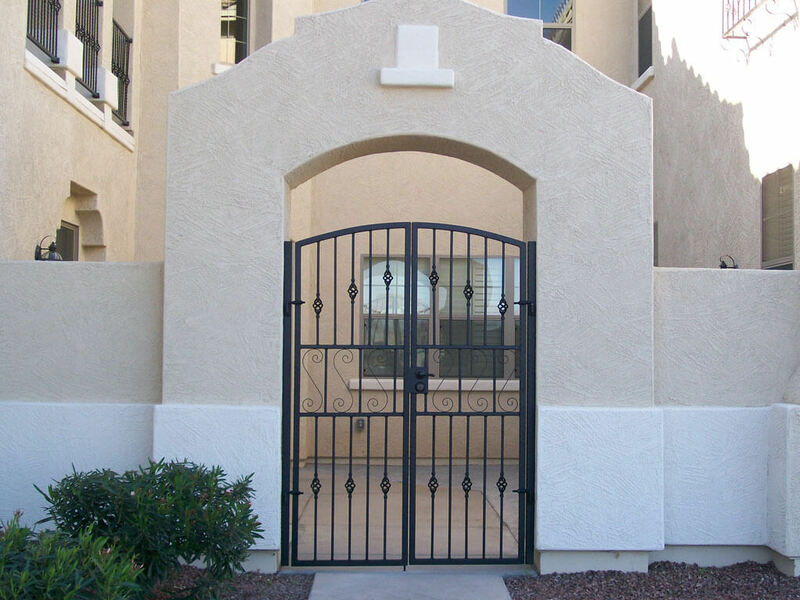 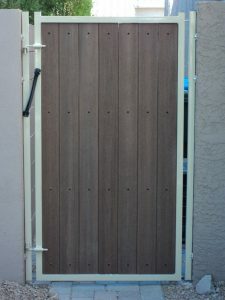 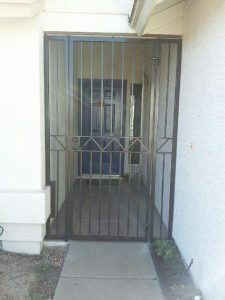 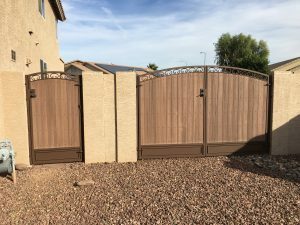 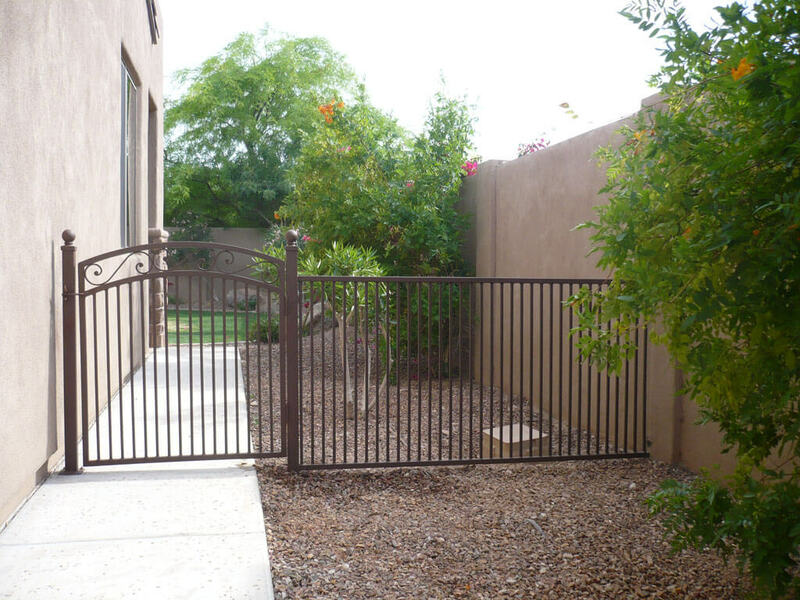 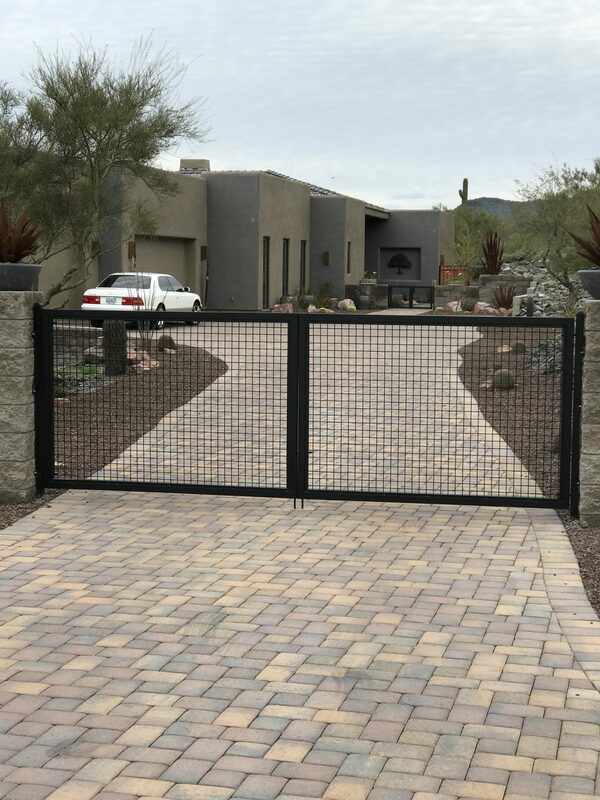 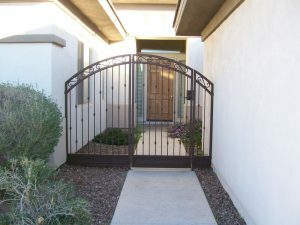 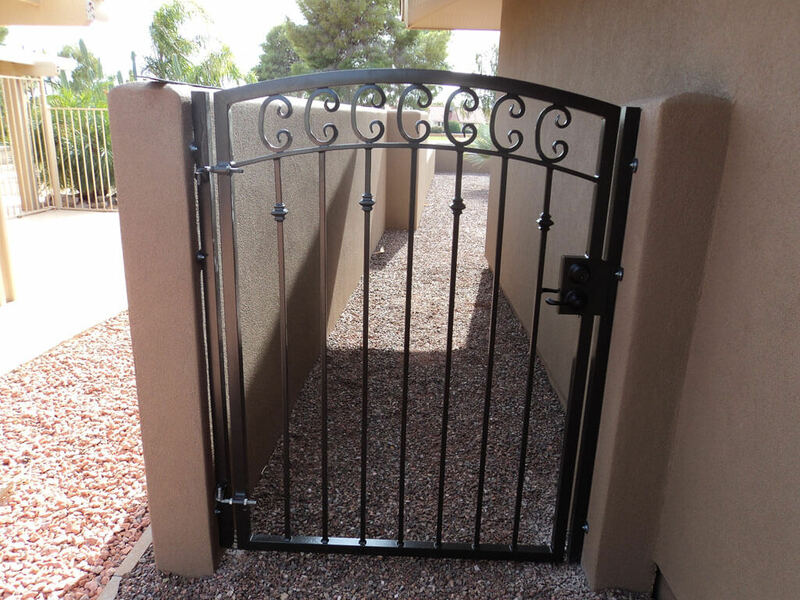 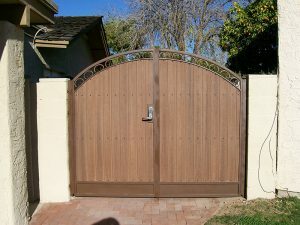 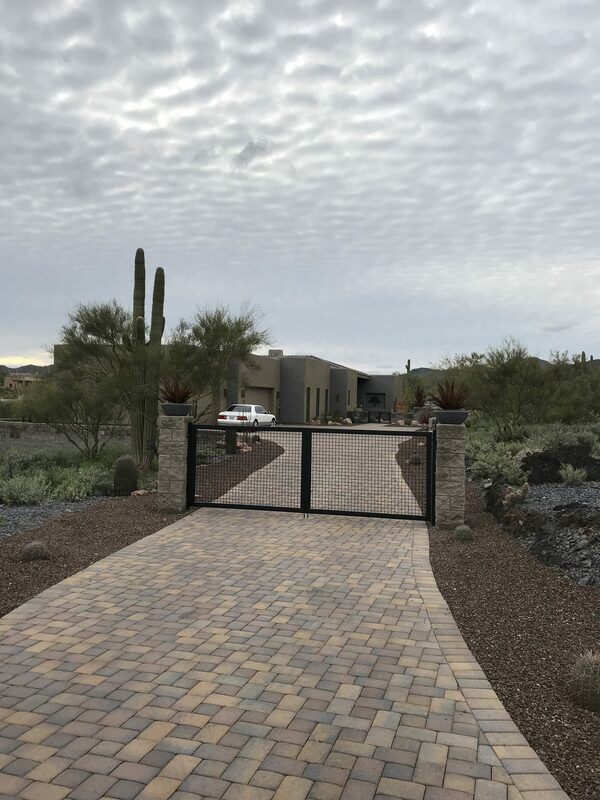 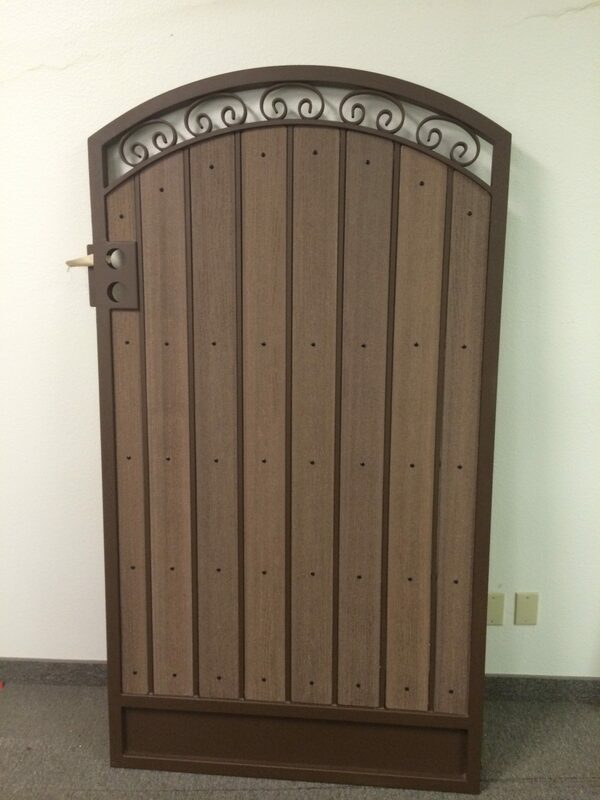 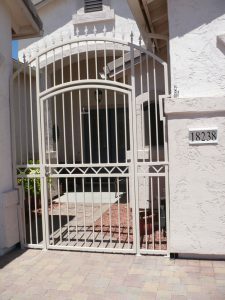 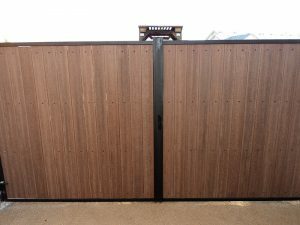 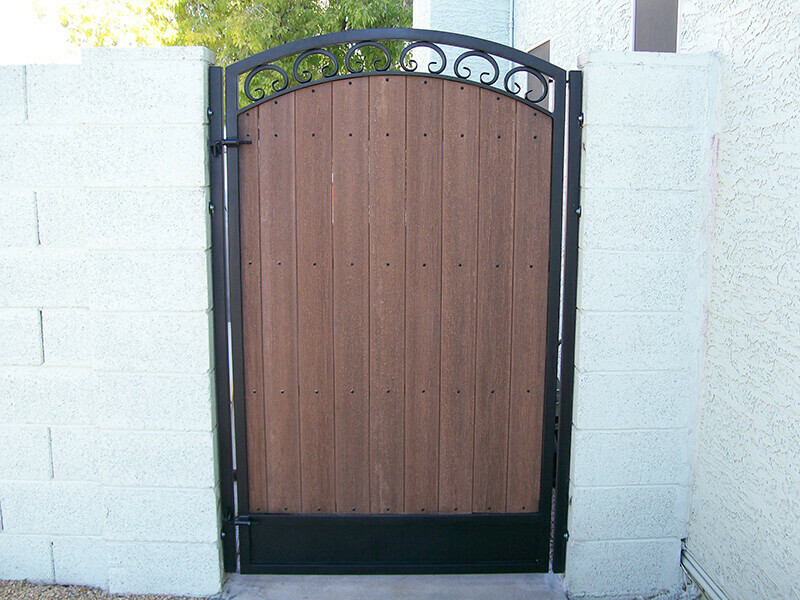 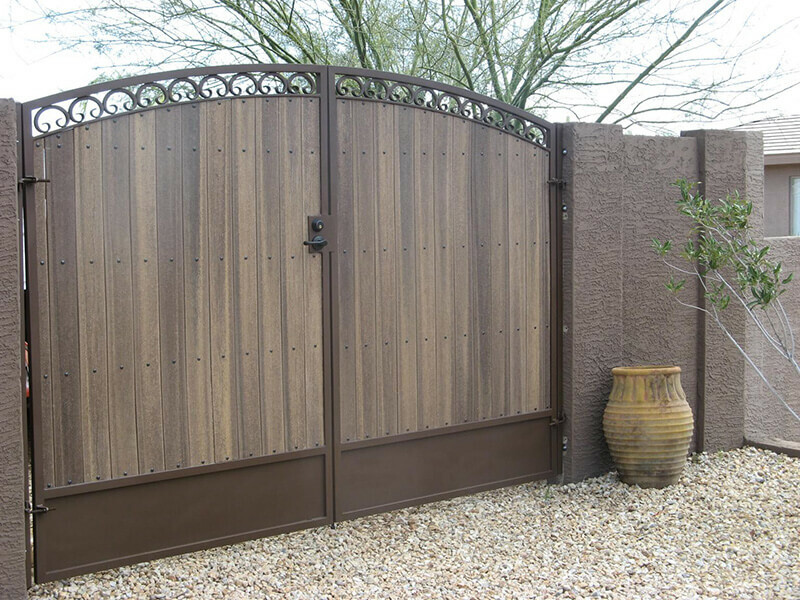 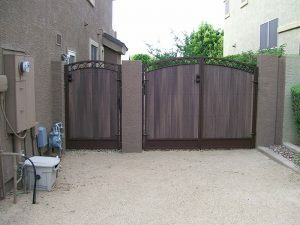 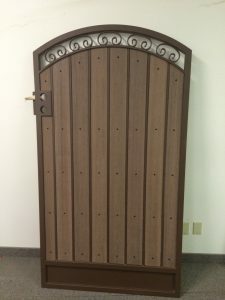 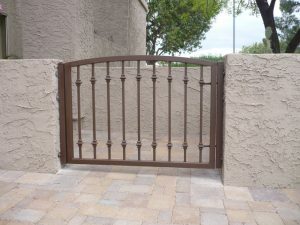 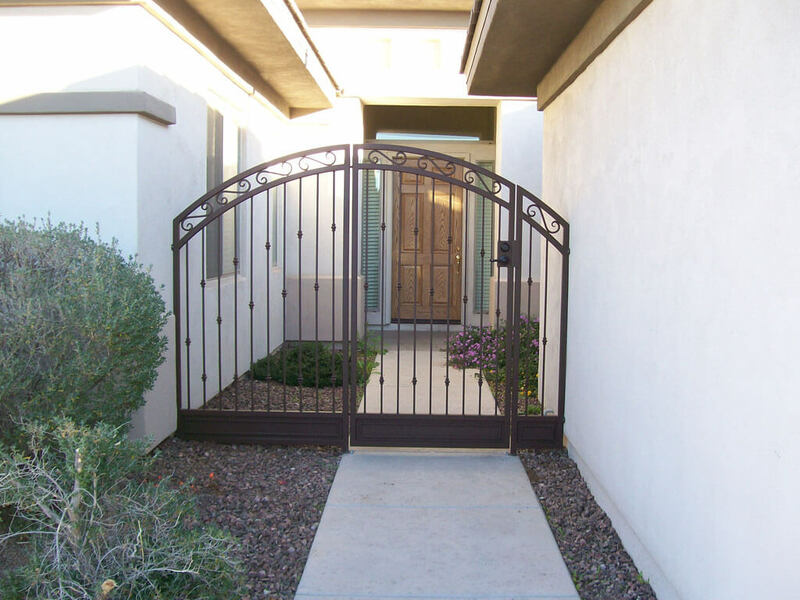 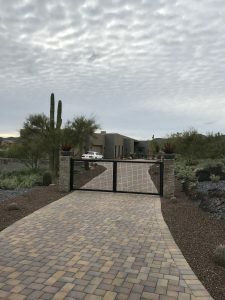 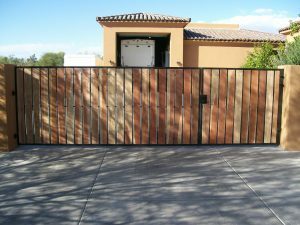 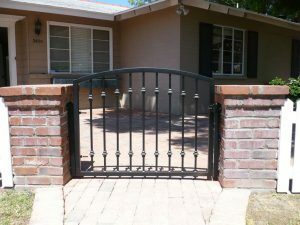 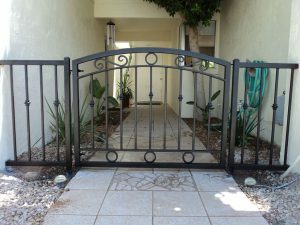 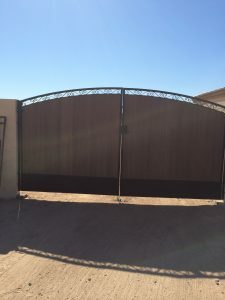 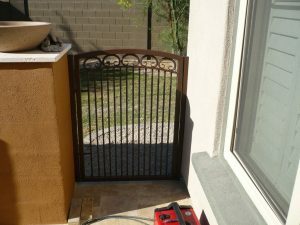 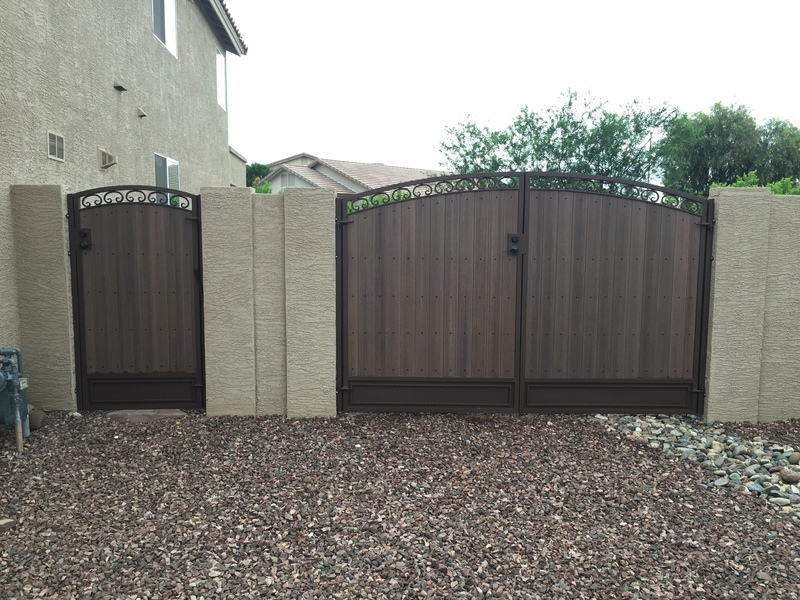 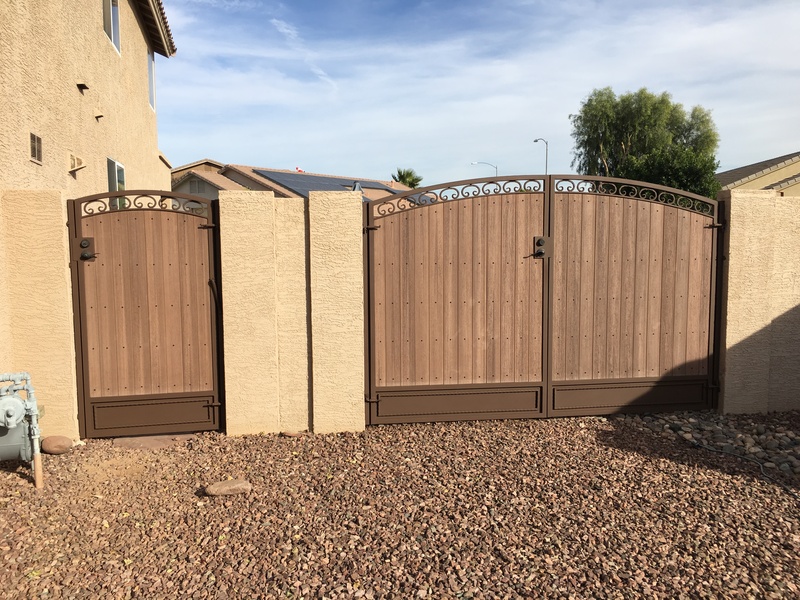 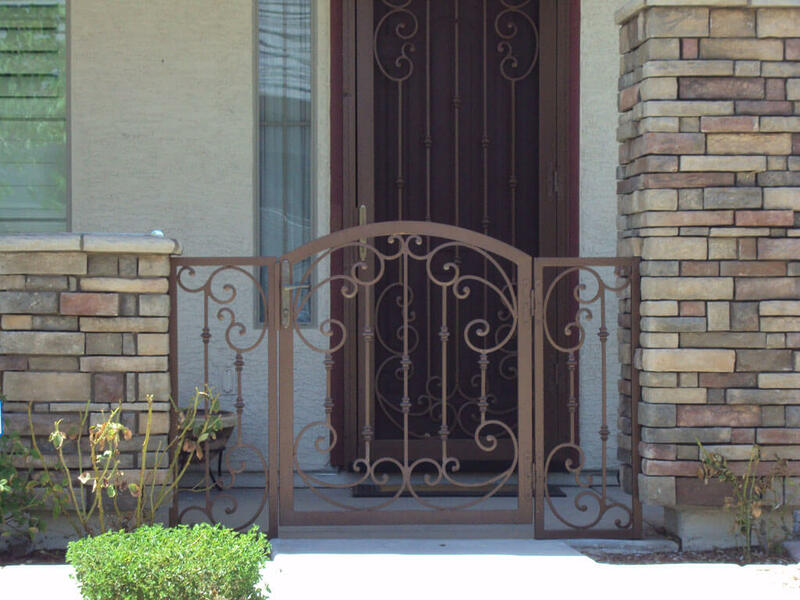 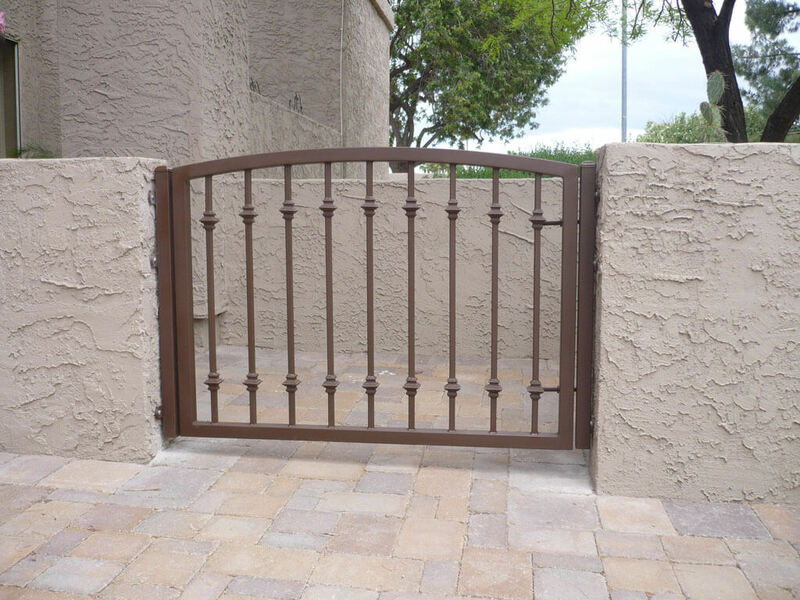 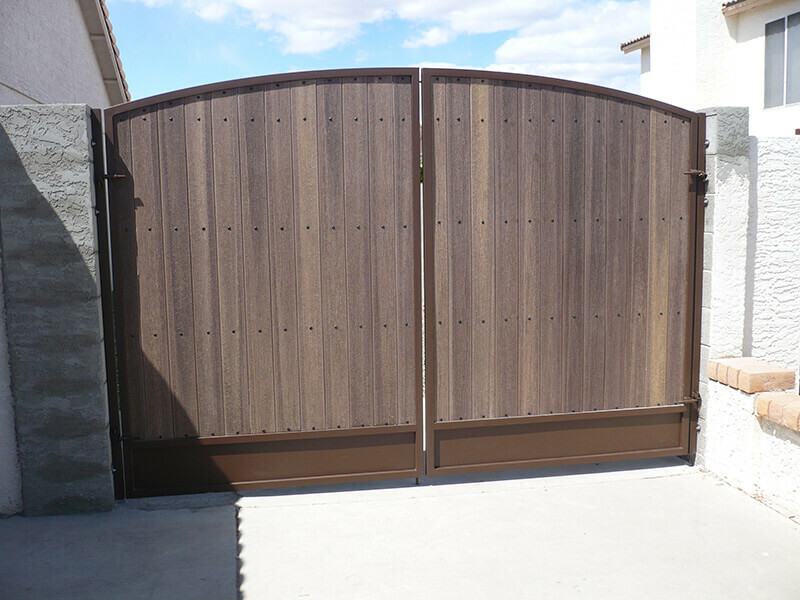 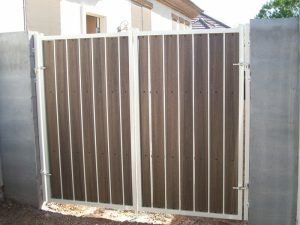 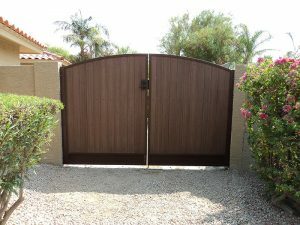 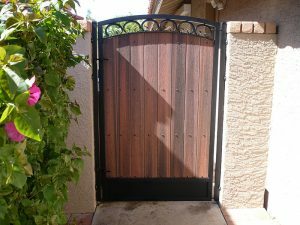 We make wrought iron gates, RV gates, and metal and wood gates in different and unique styles and sizes in Arizona. 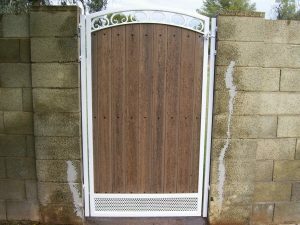 Every gate can reflect your personality, your character, your lifestyle. 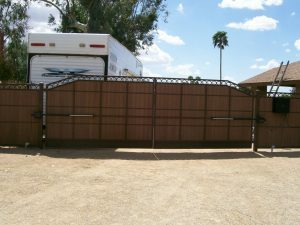 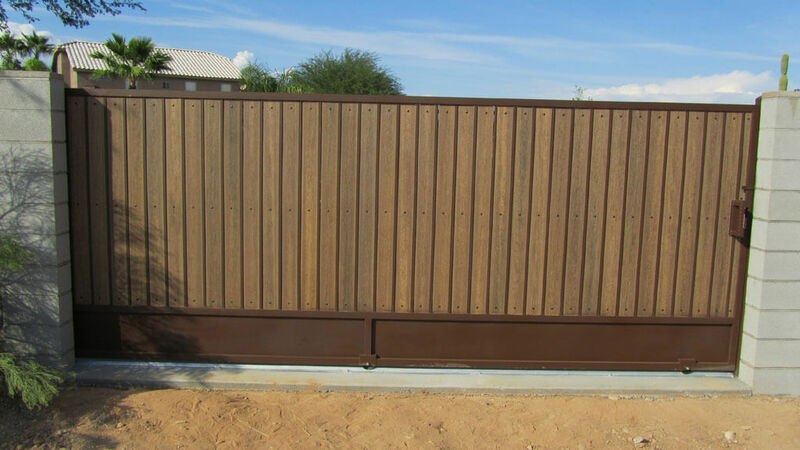 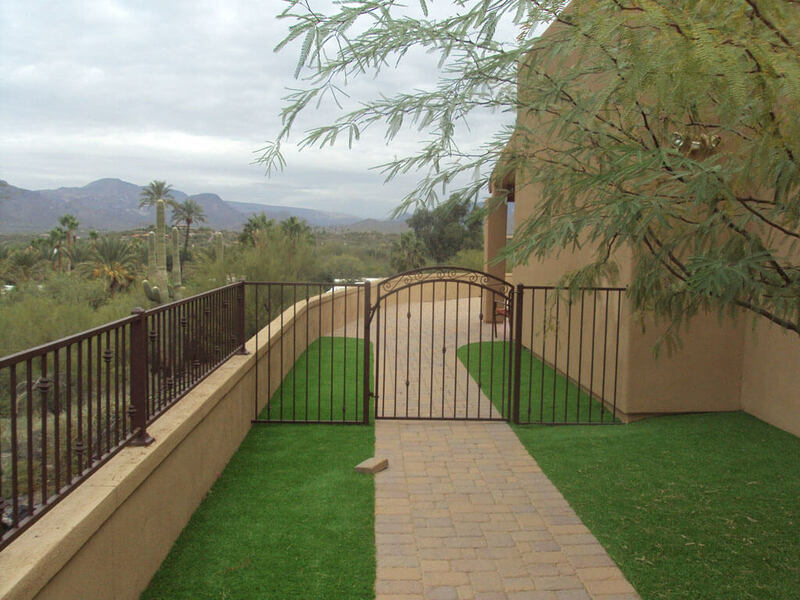 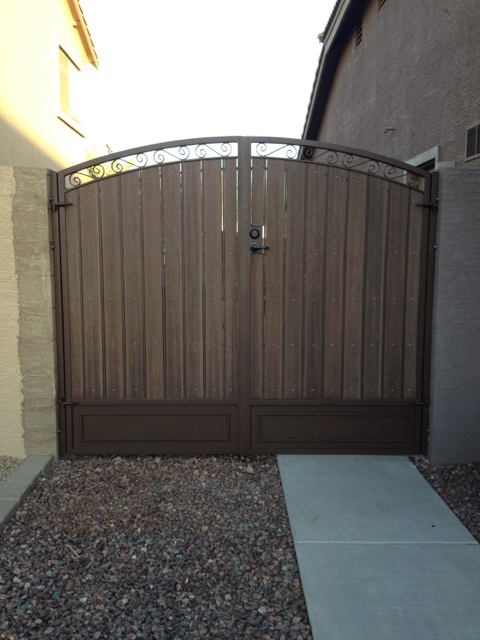 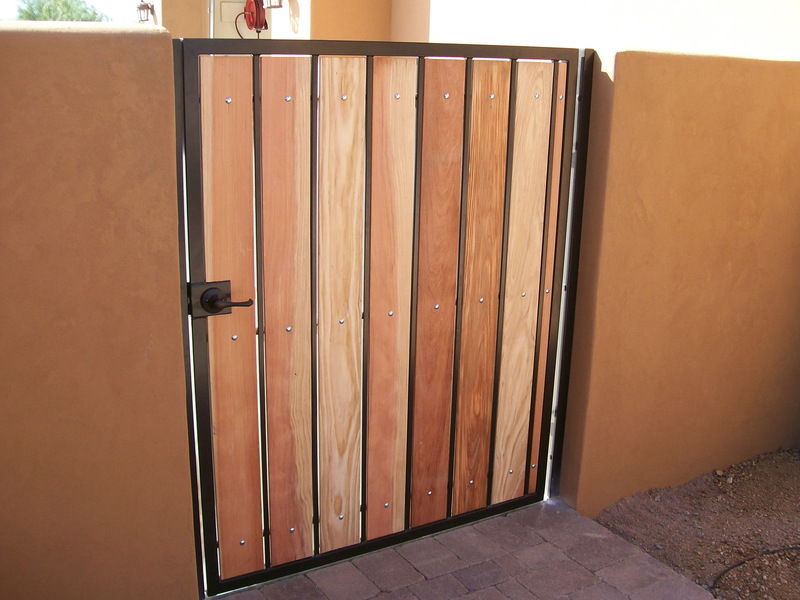 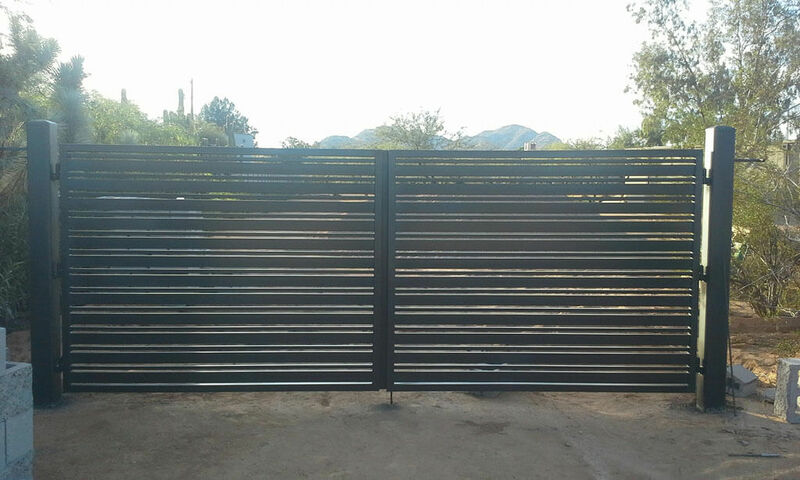 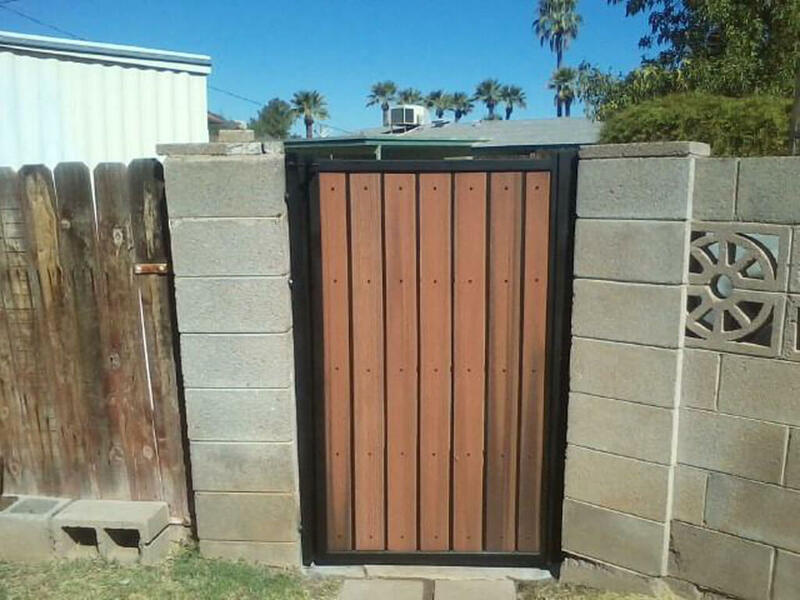 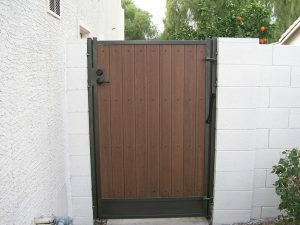 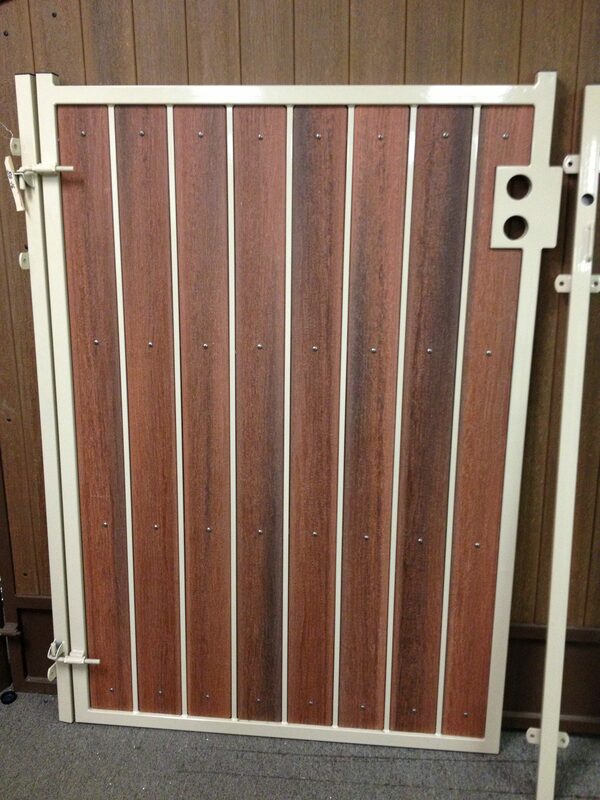 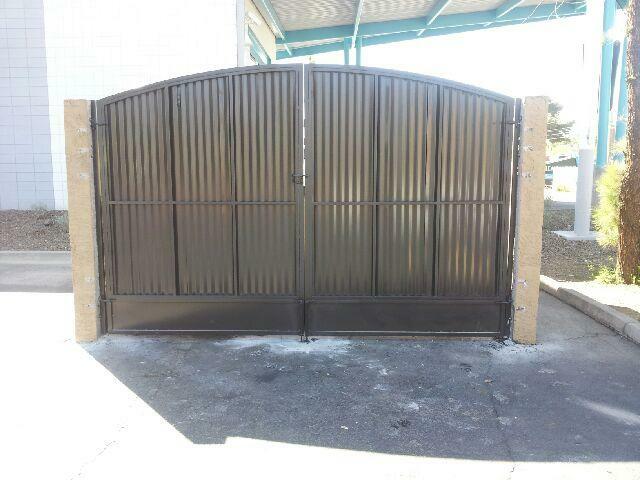 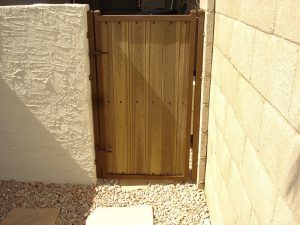 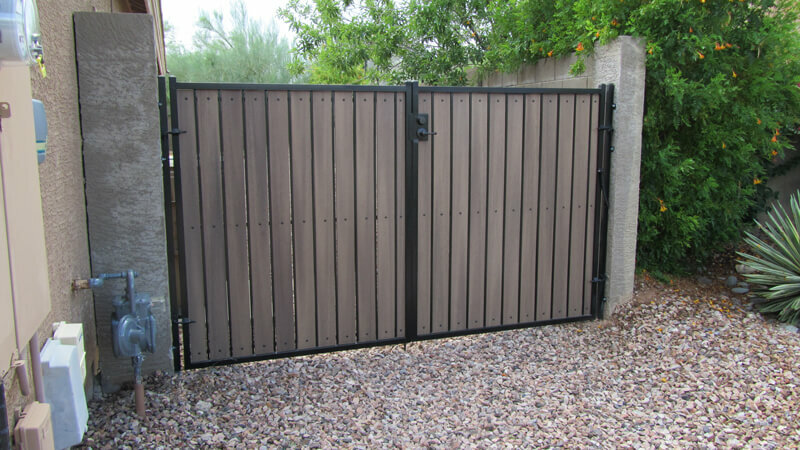 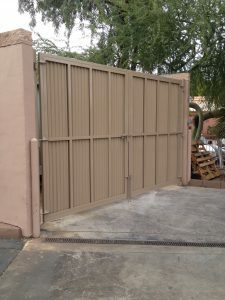 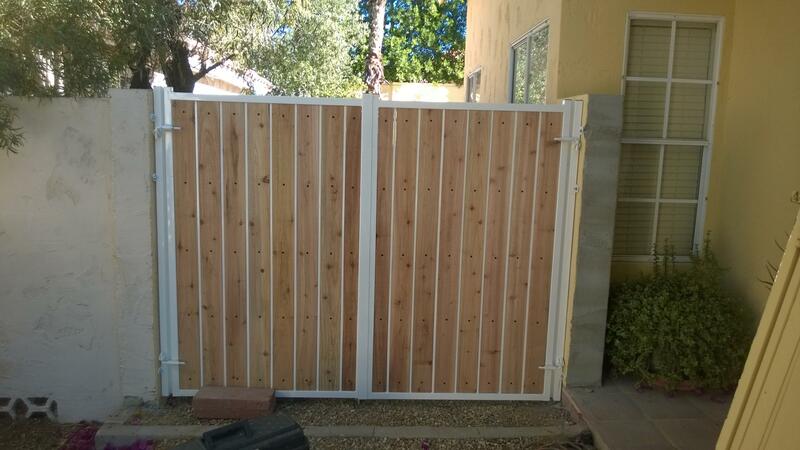 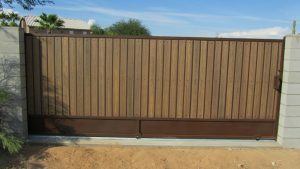 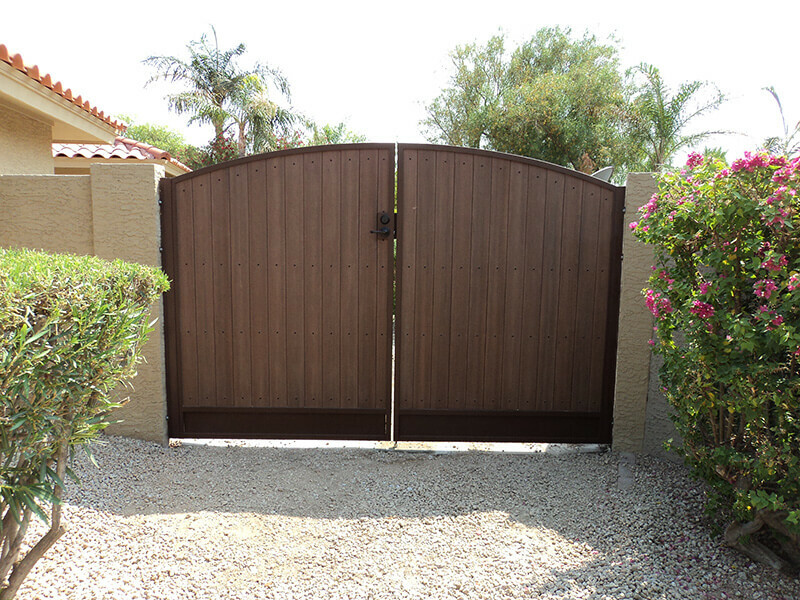 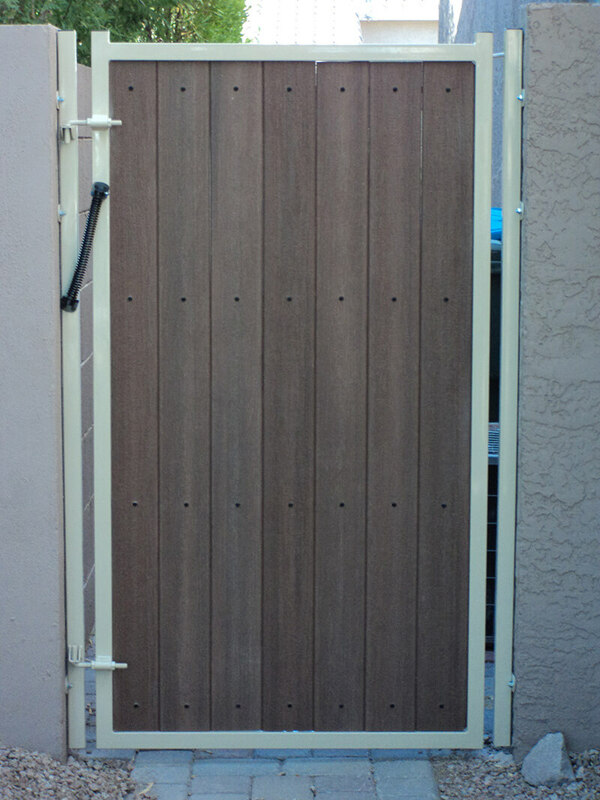 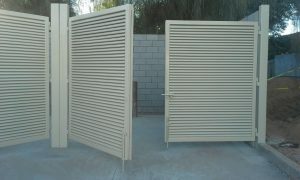 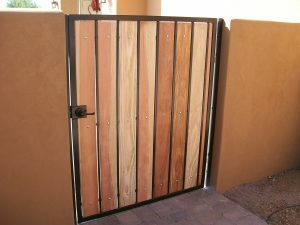 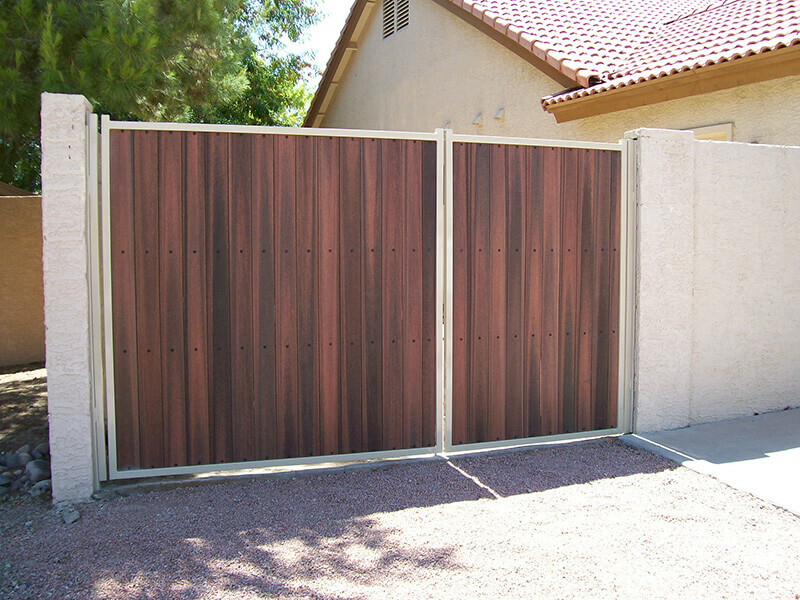 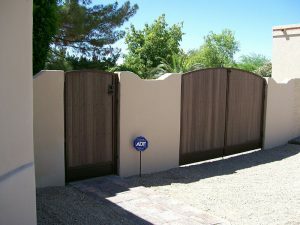 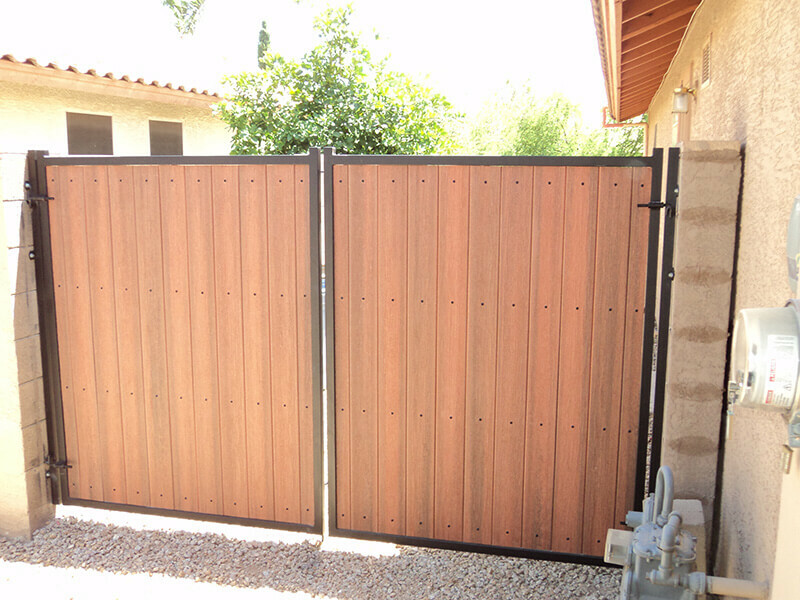 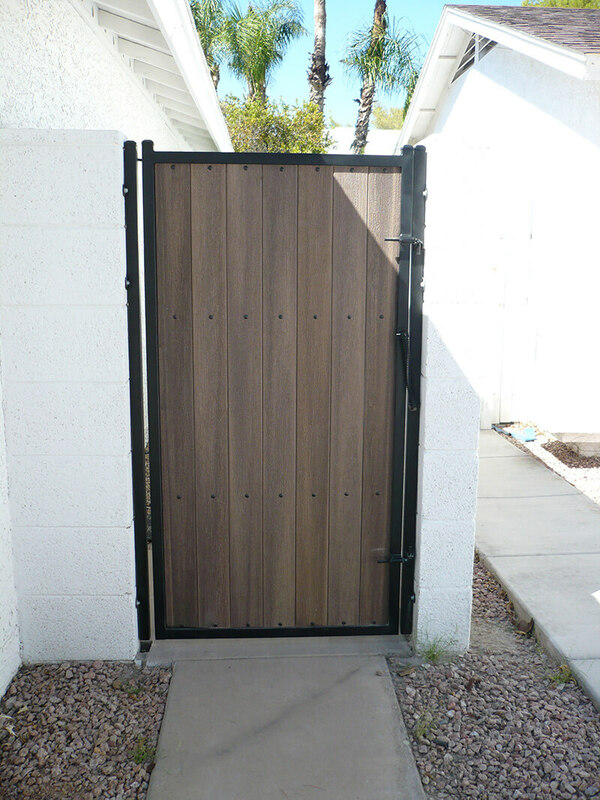 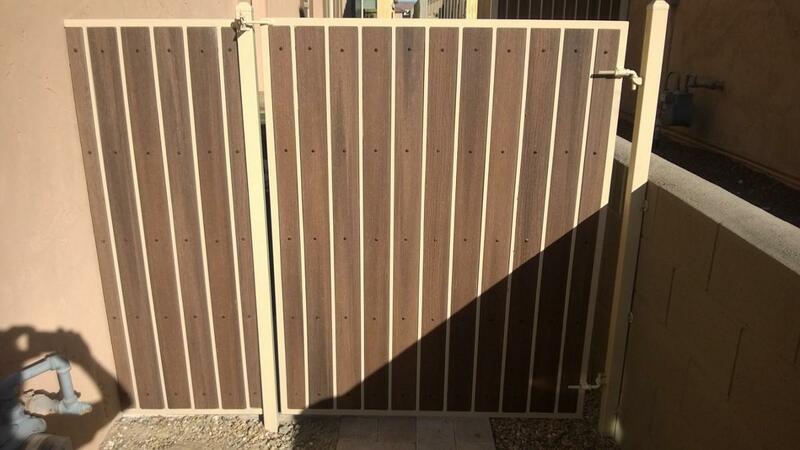 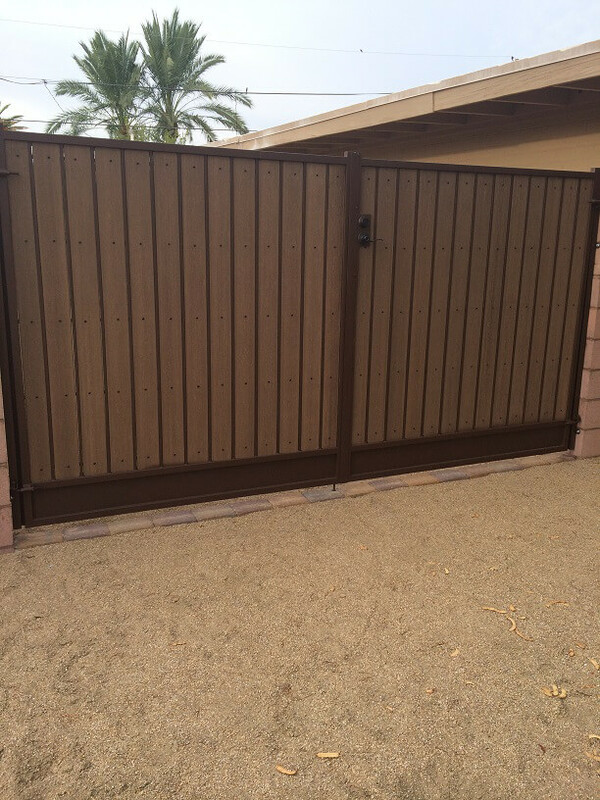 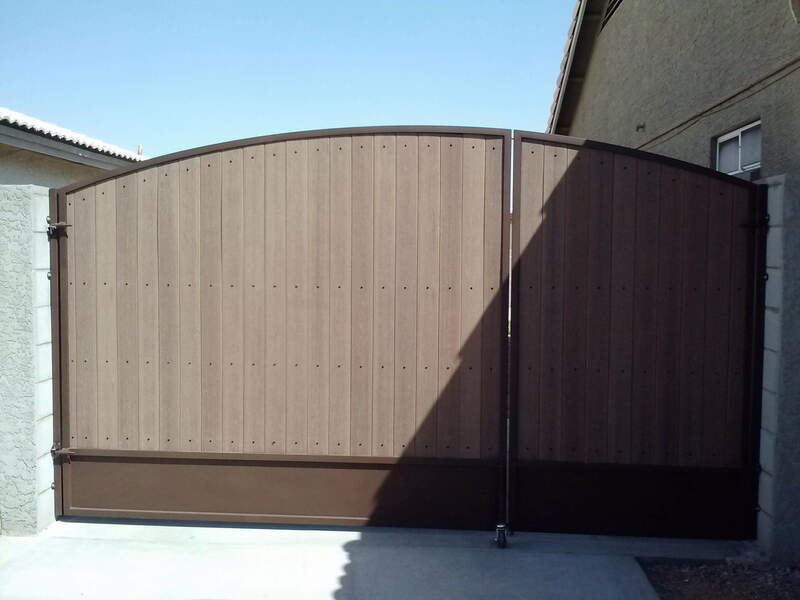 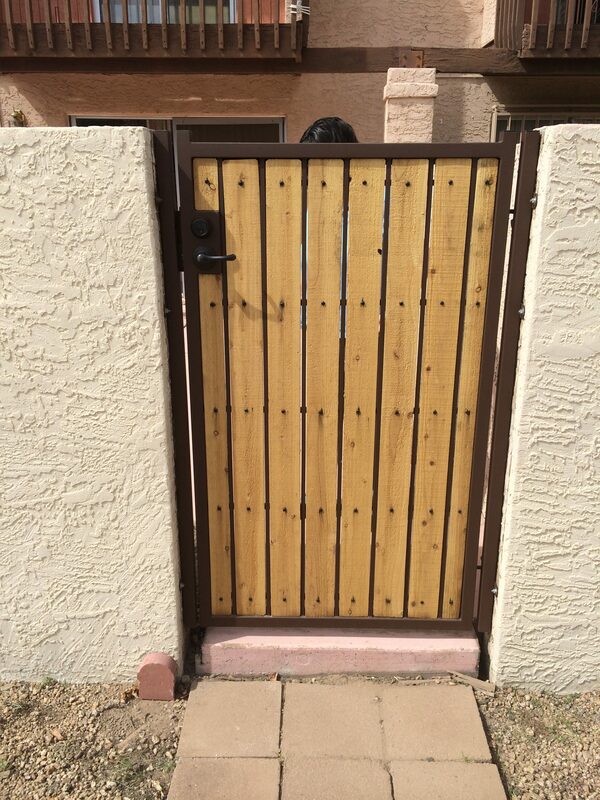 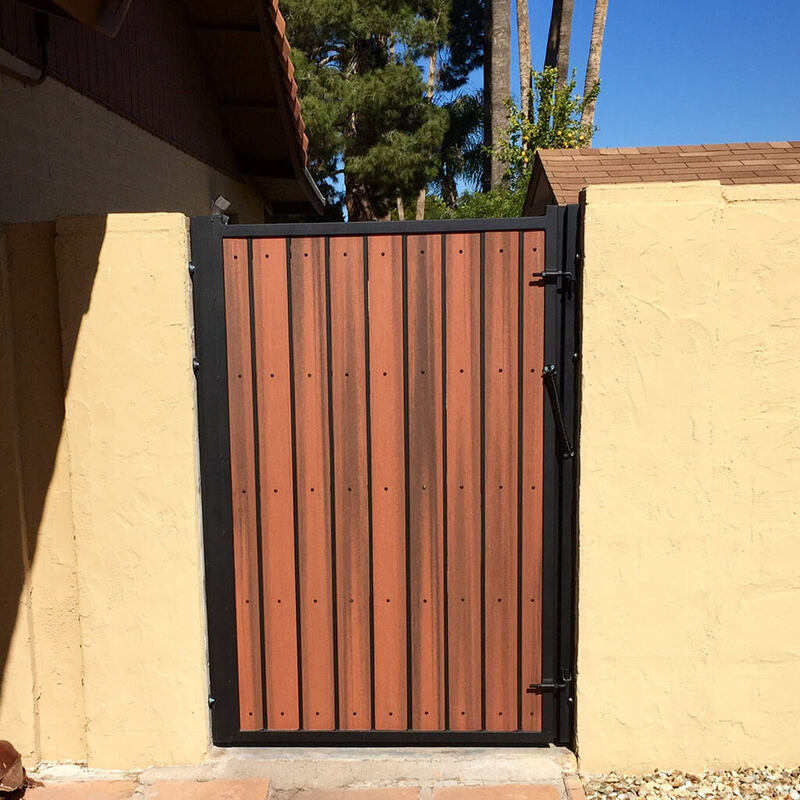 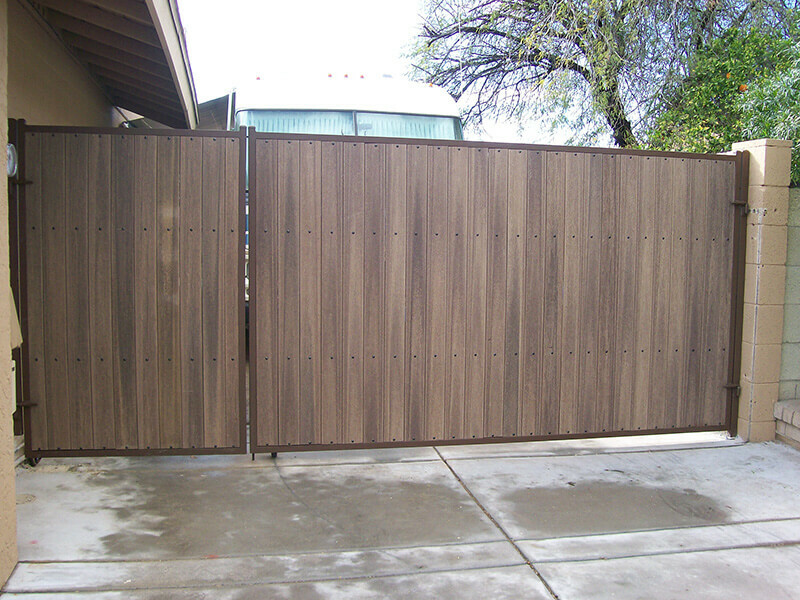 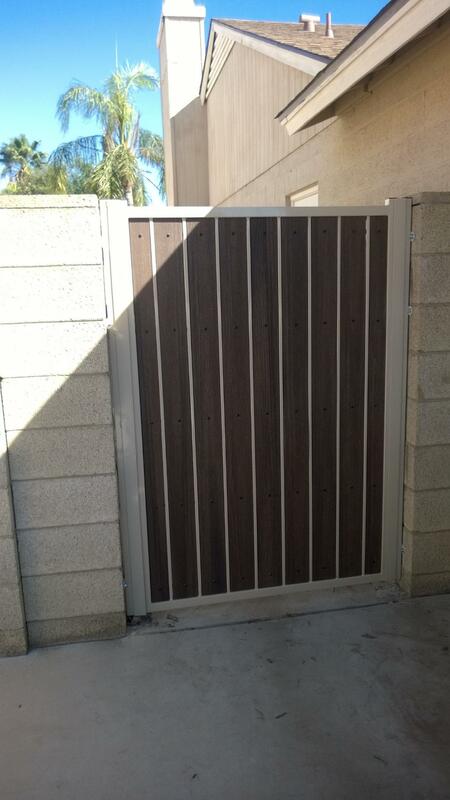 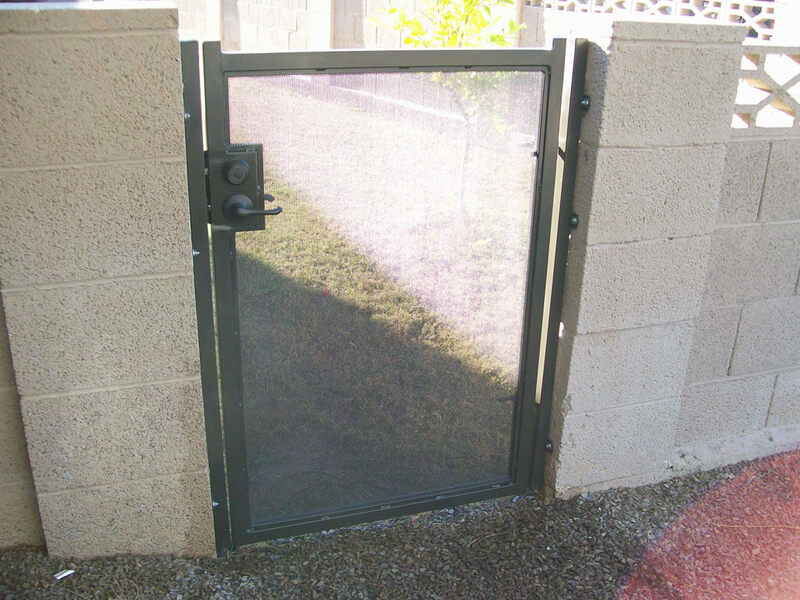 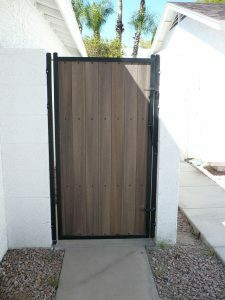 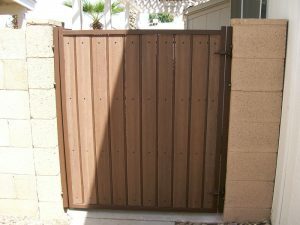 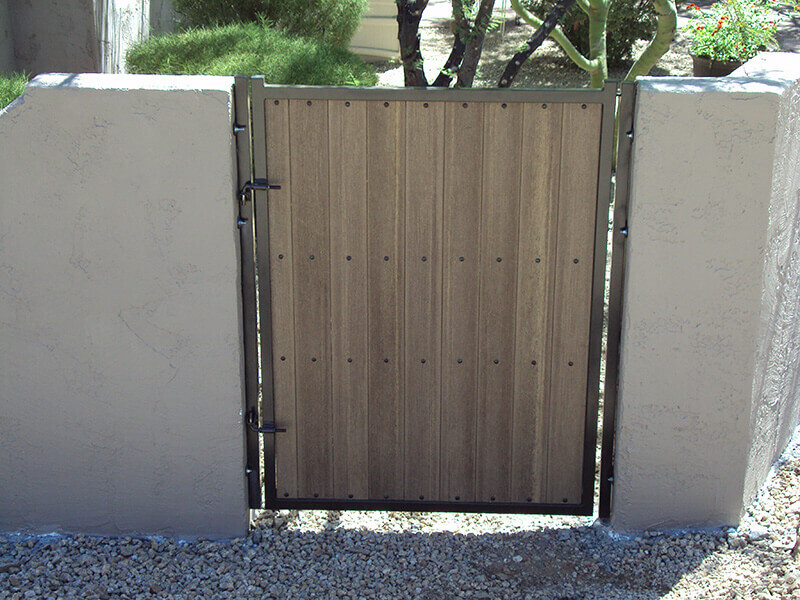 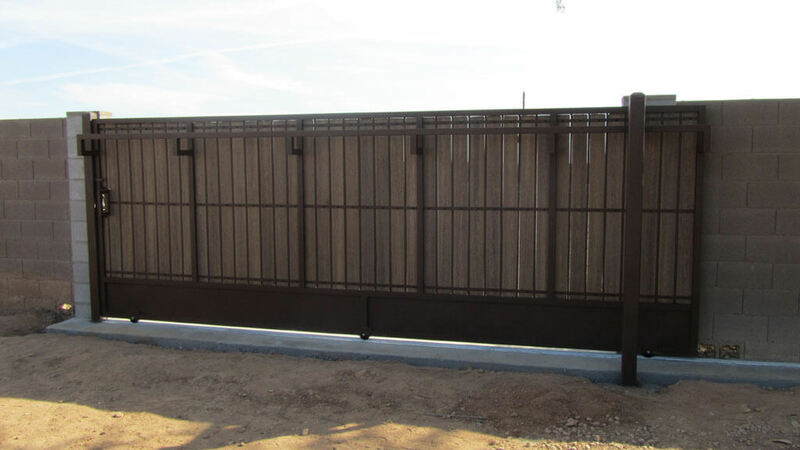 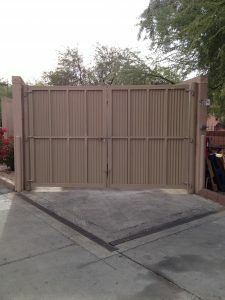 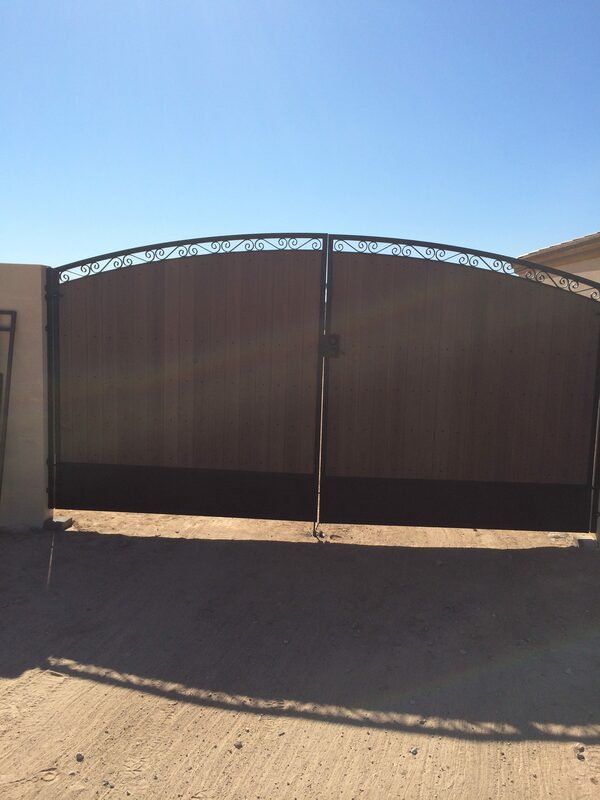 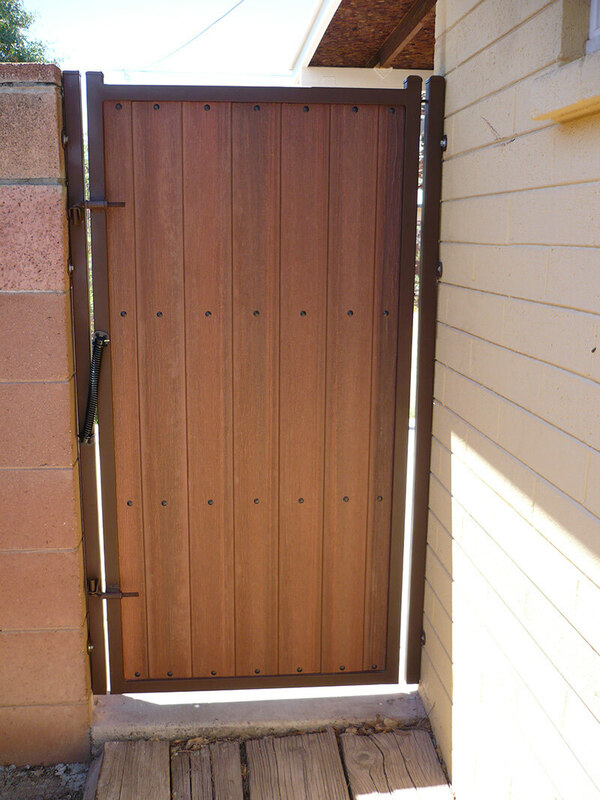 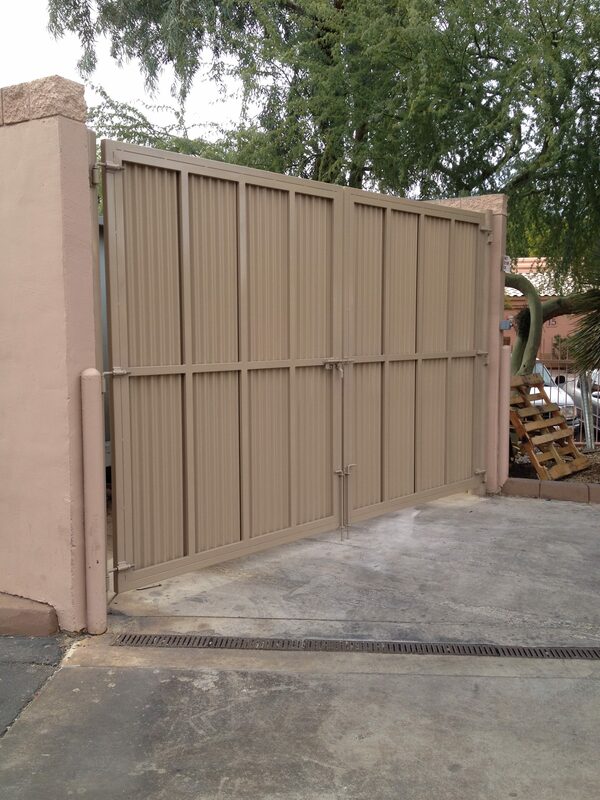 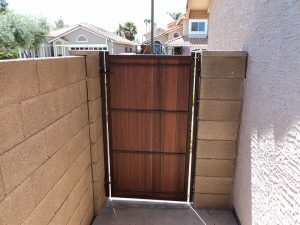 Every RV, backyard, garden, privacy, and security gate is custom built and manufactured locally in Phoenix. 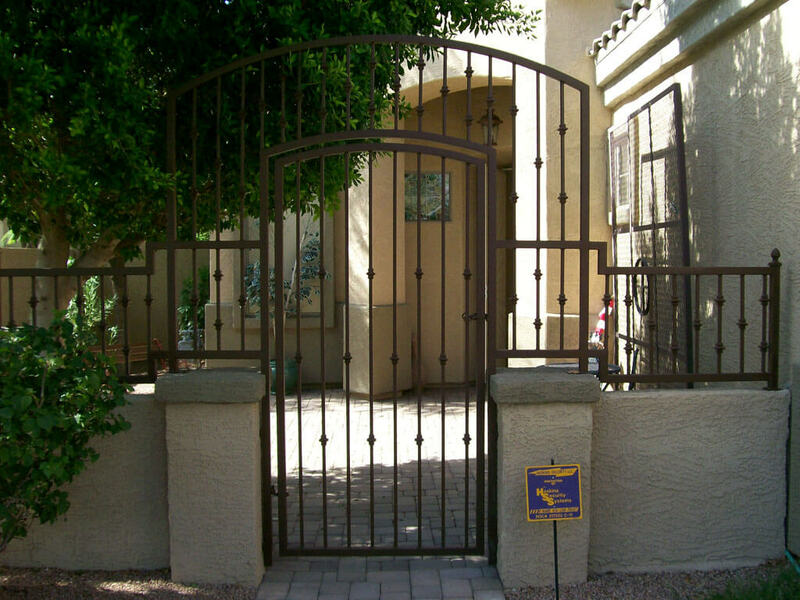 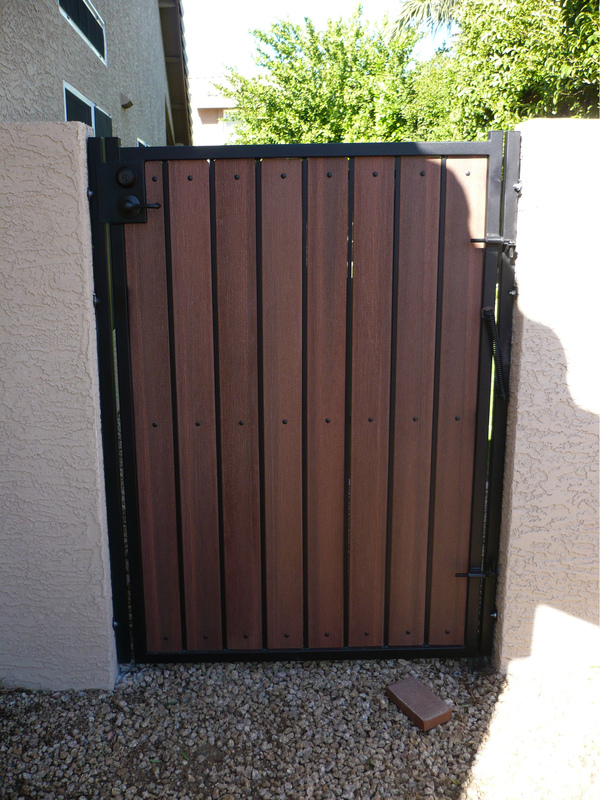 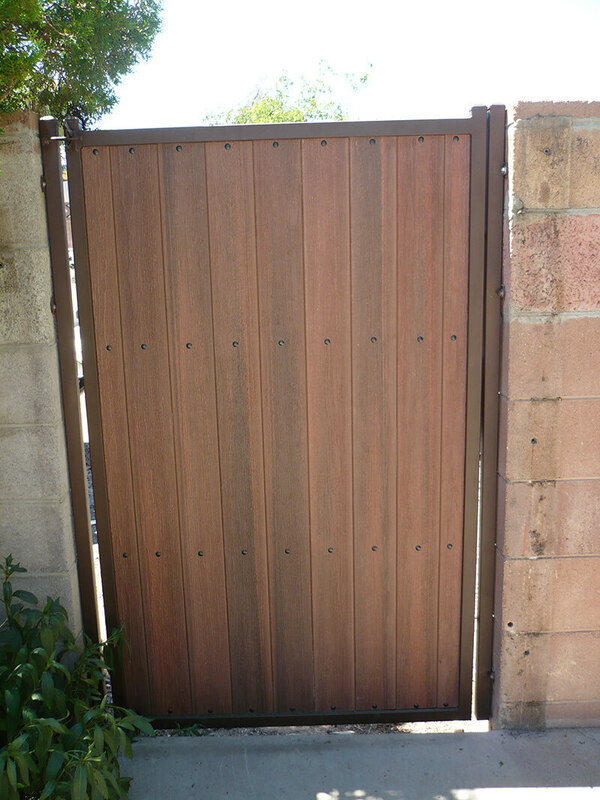 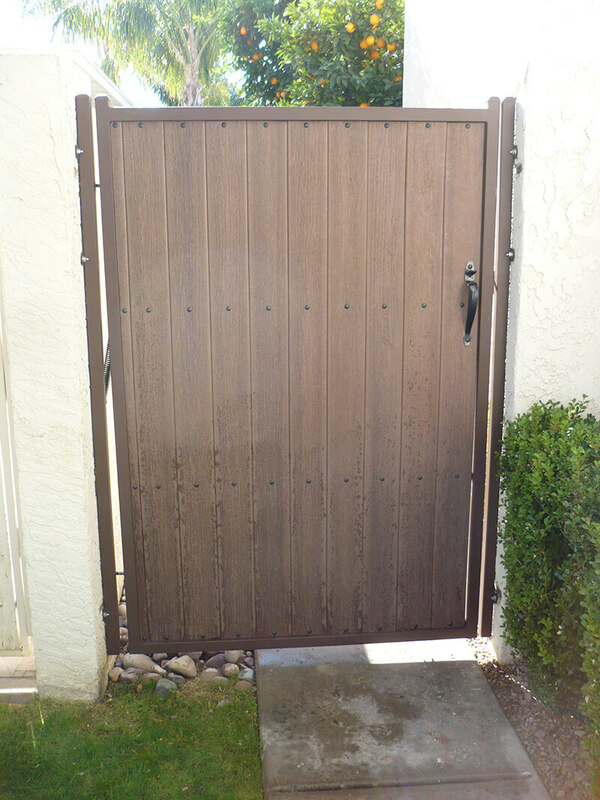 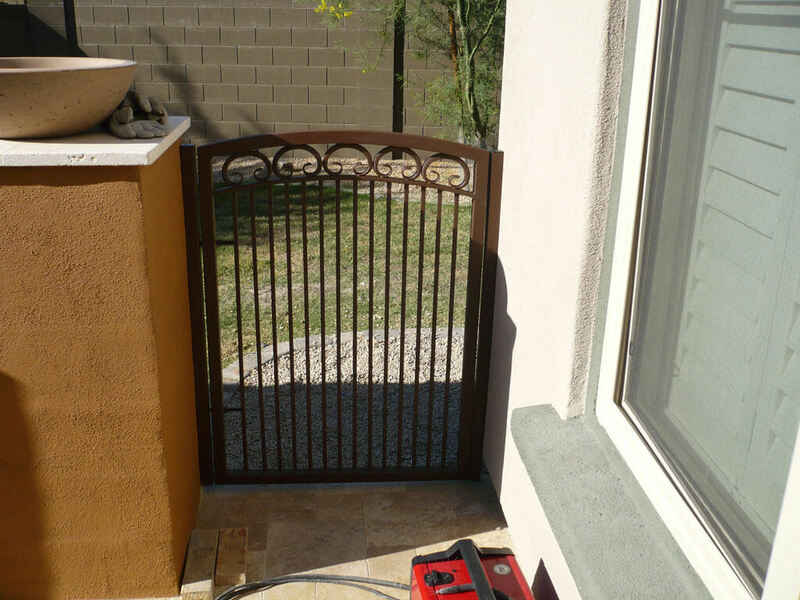 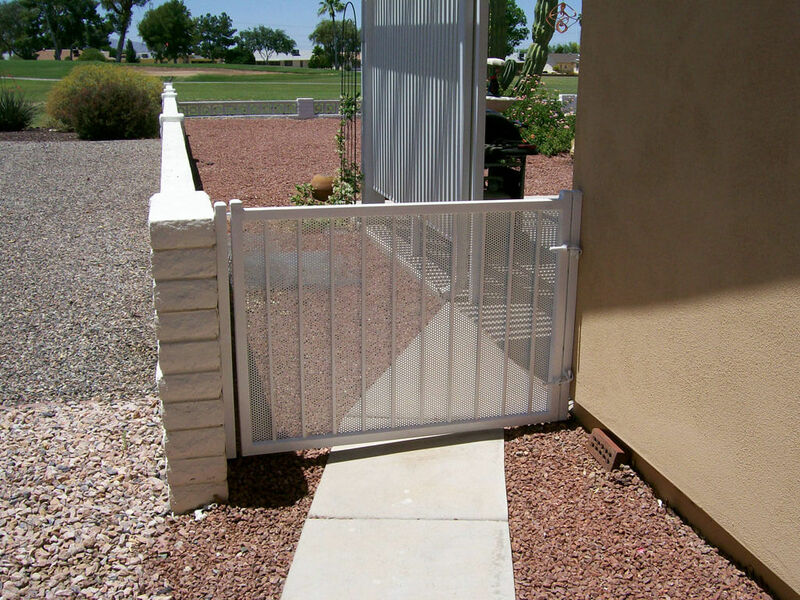 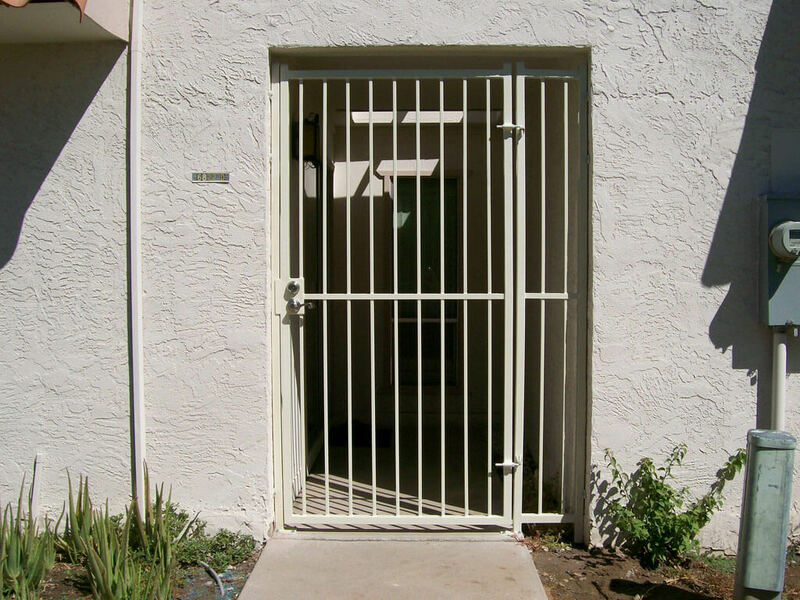 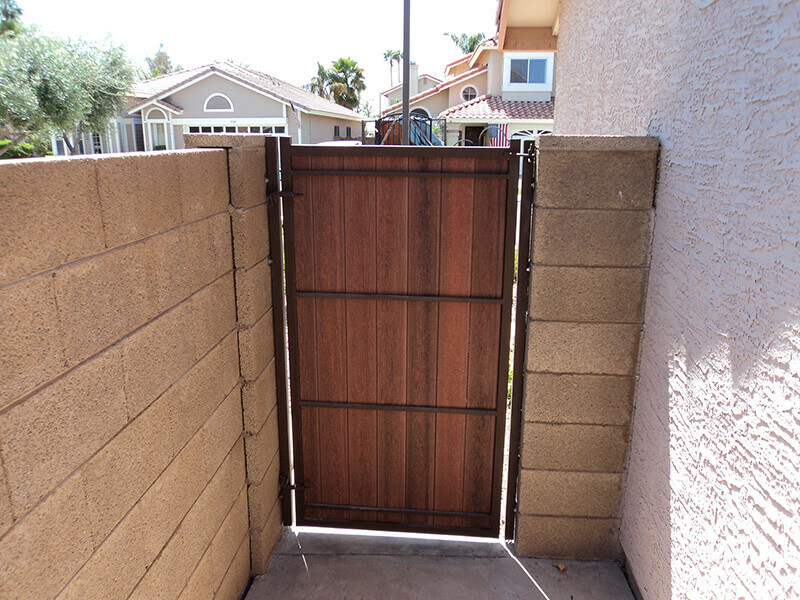 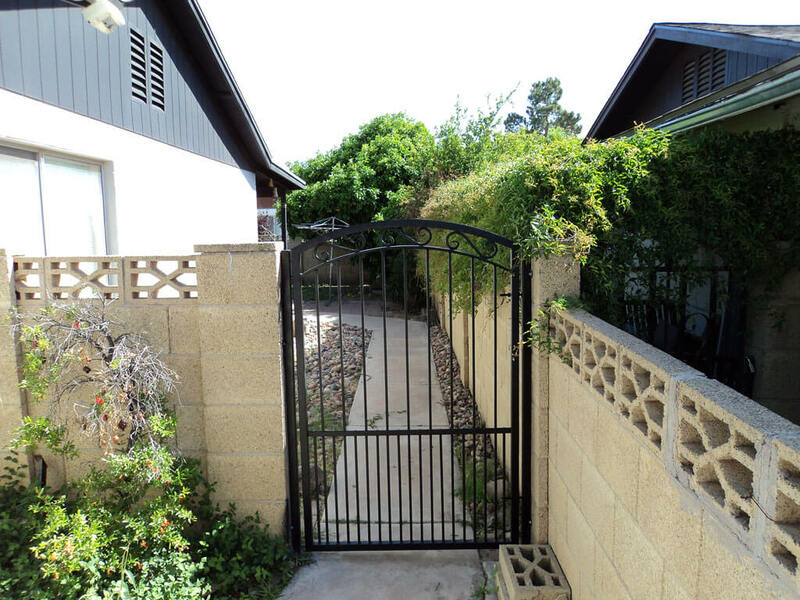 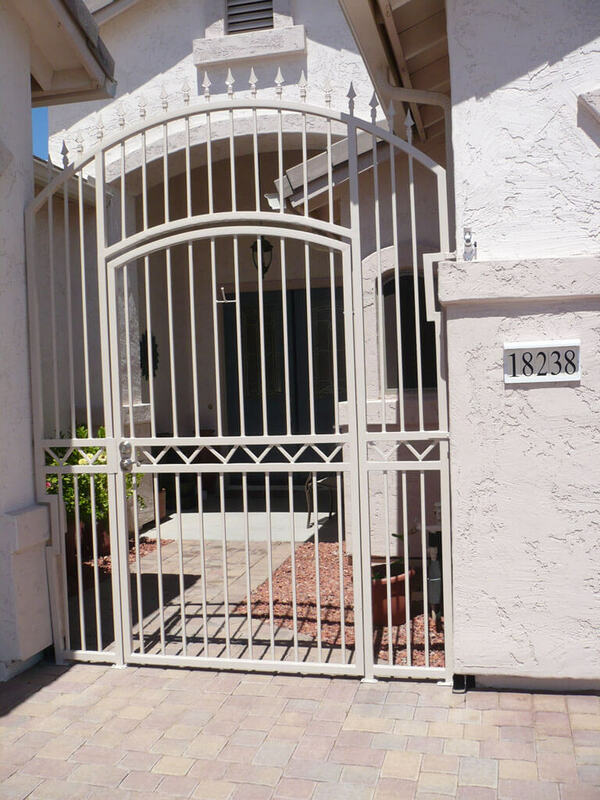 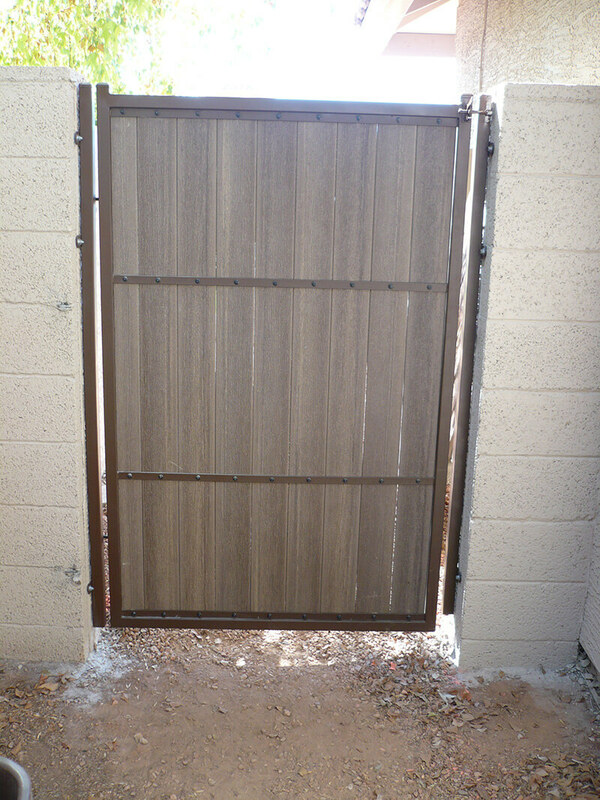 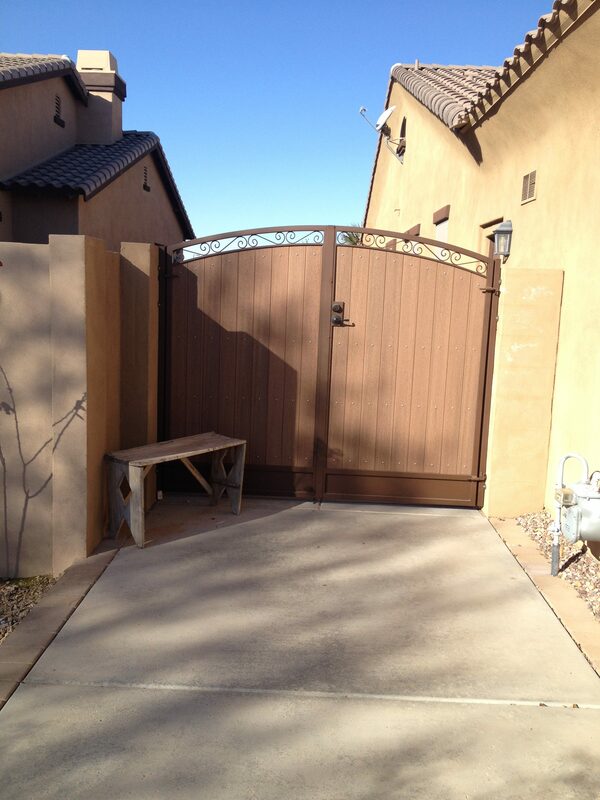 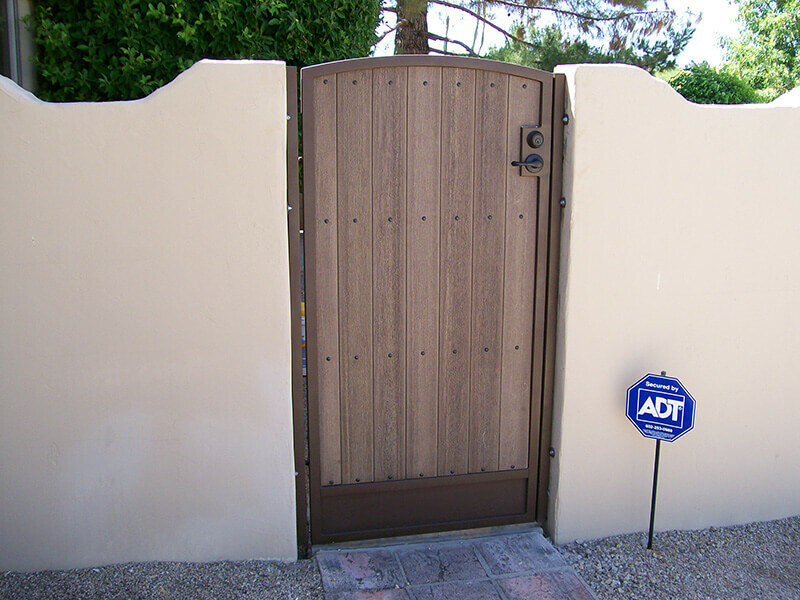 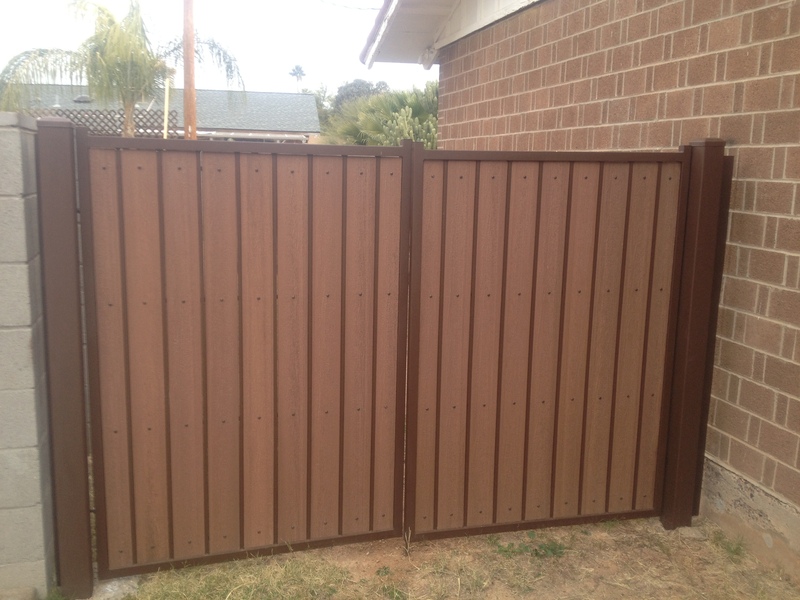 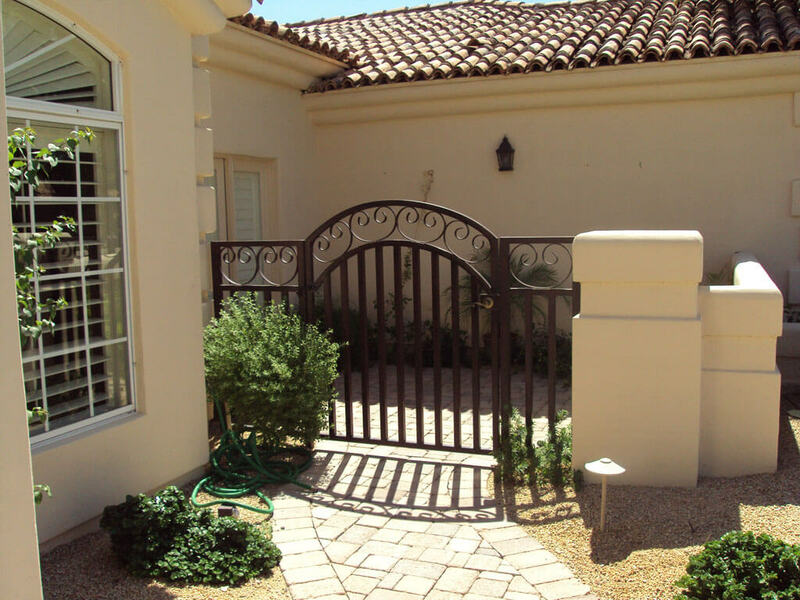 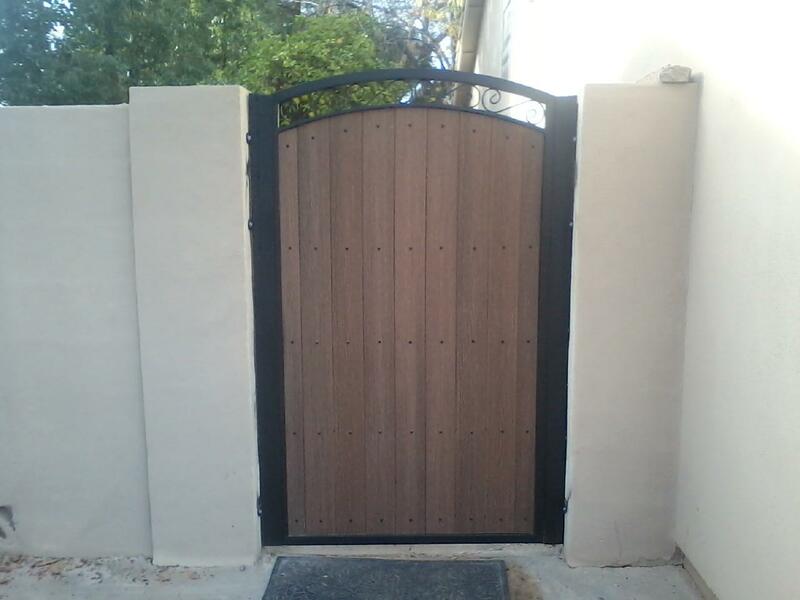 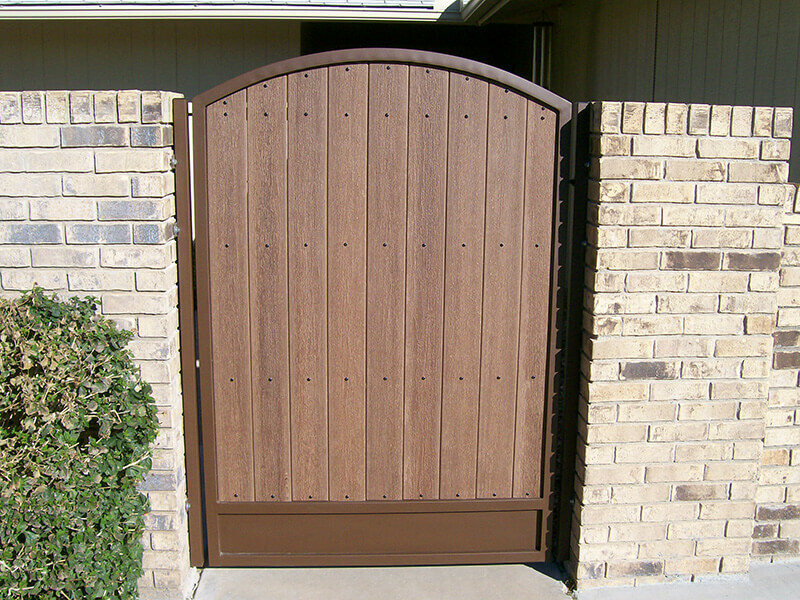 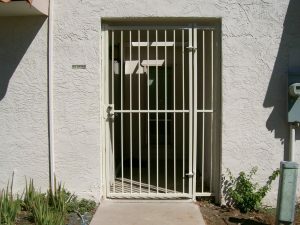 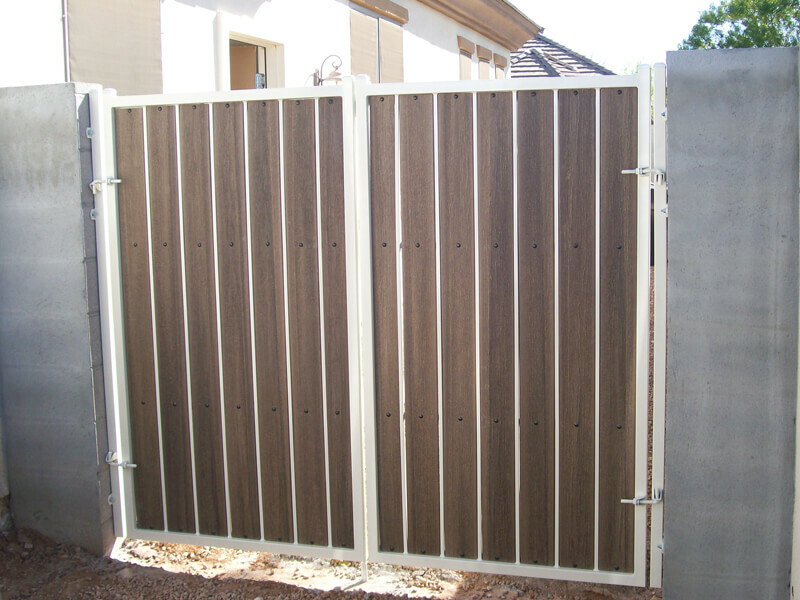 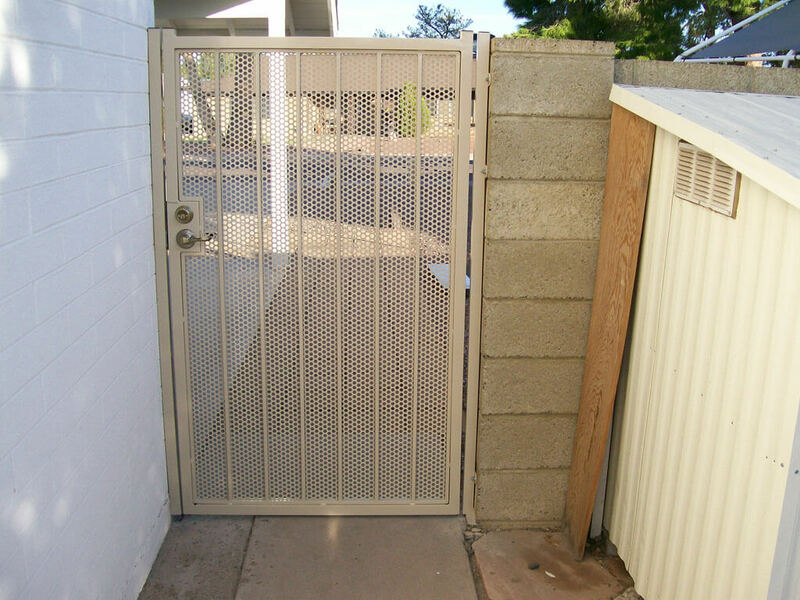 We also provide convenient gate repair services for your residential or commercial gates. Because we control every part of the manufacturing process to ensure you receive a quality product we are also able to keep our prices down and pass those savings onto you. 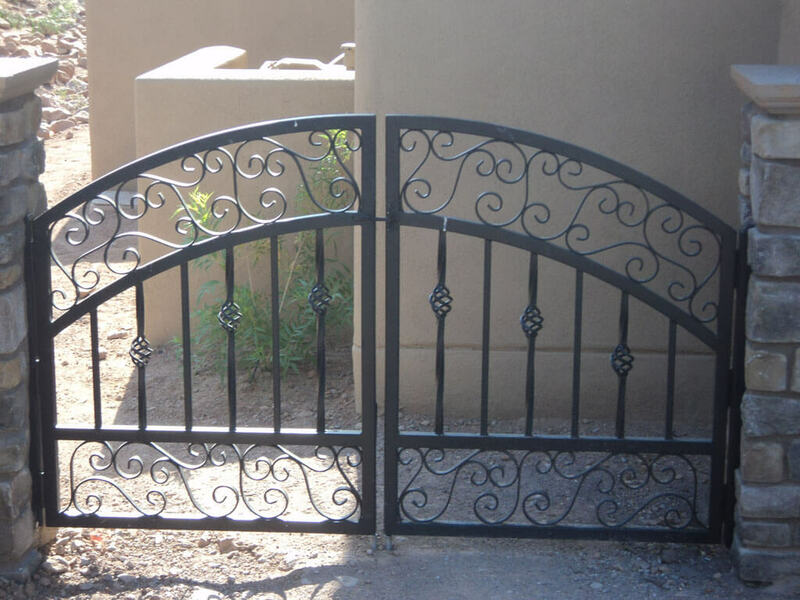 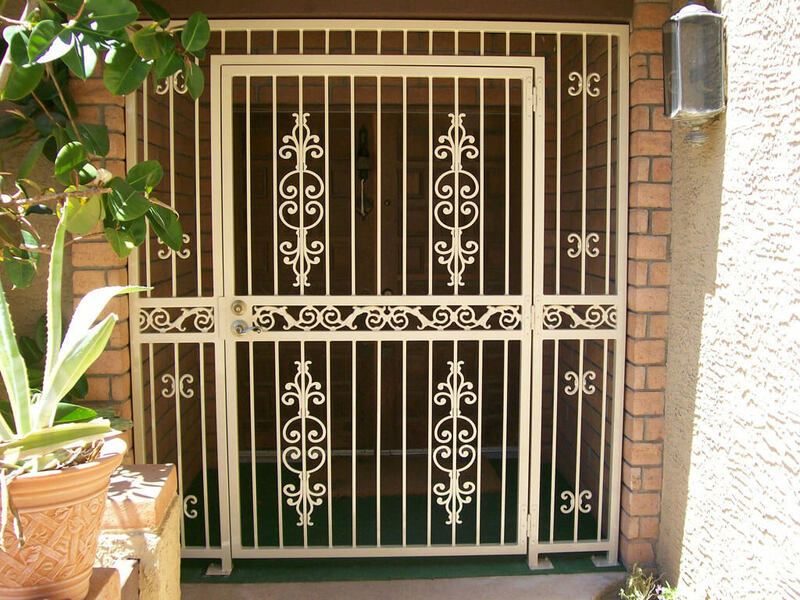 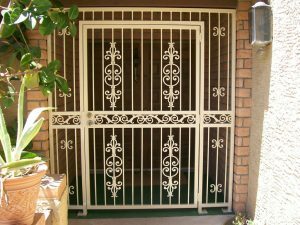 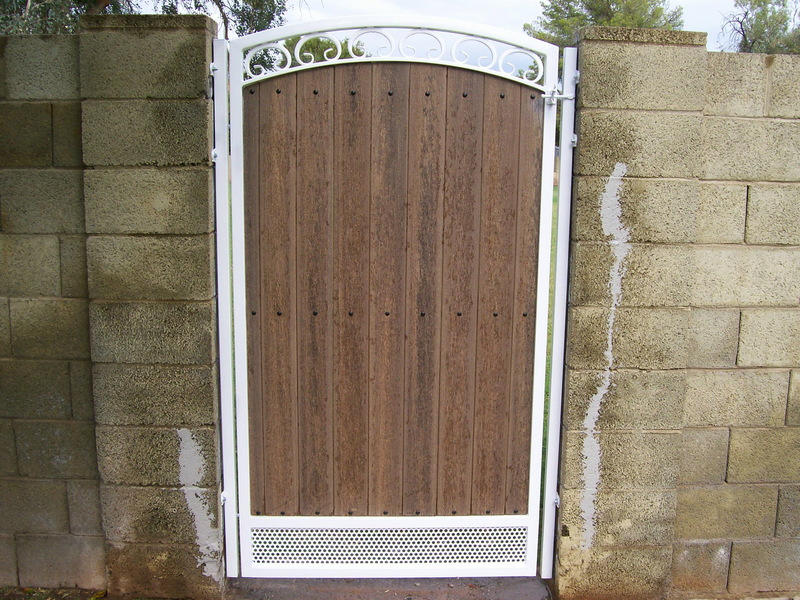 We make wrought iron gates and metal gates functional, beautiful and durable. DCS Industries, LLC is qualified to design and build your custom gate with your desires and requirements. 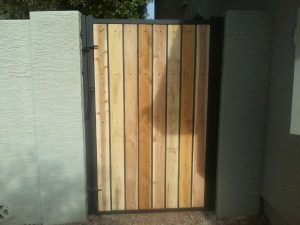 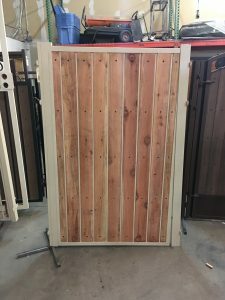 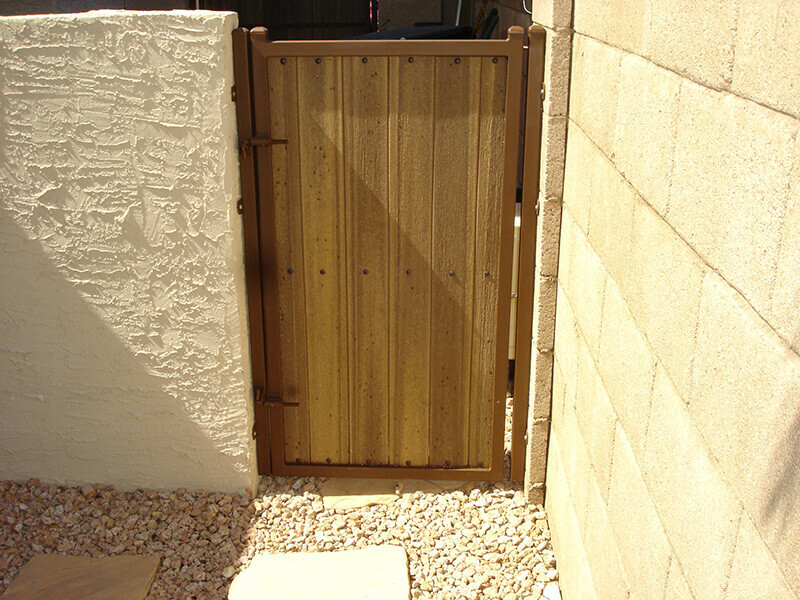 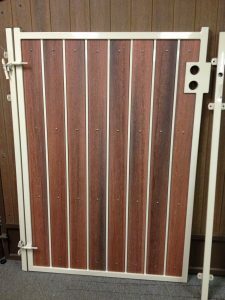 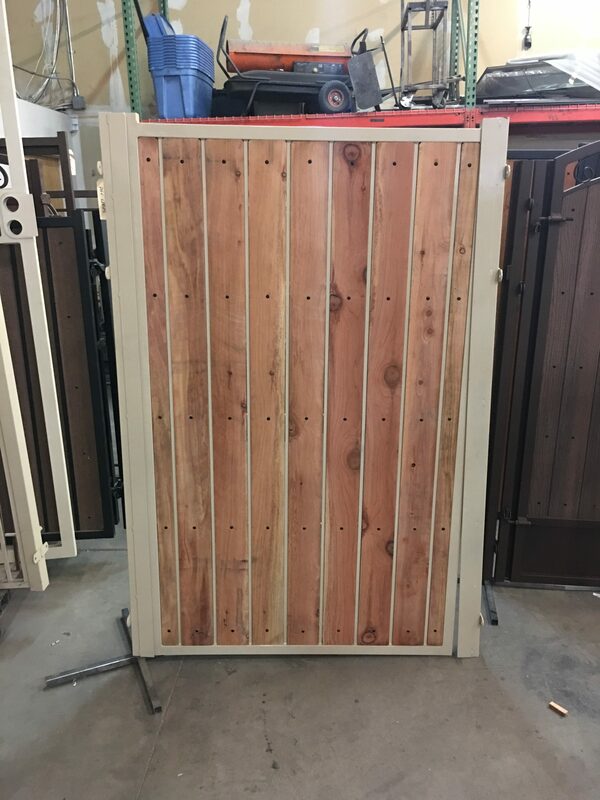 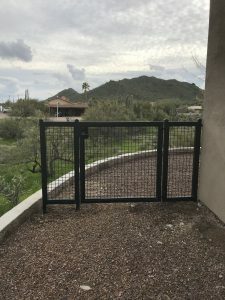 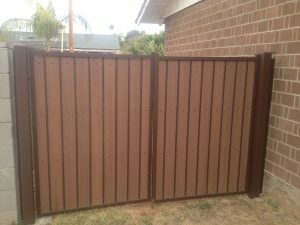 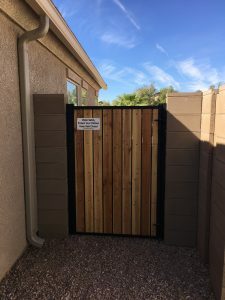 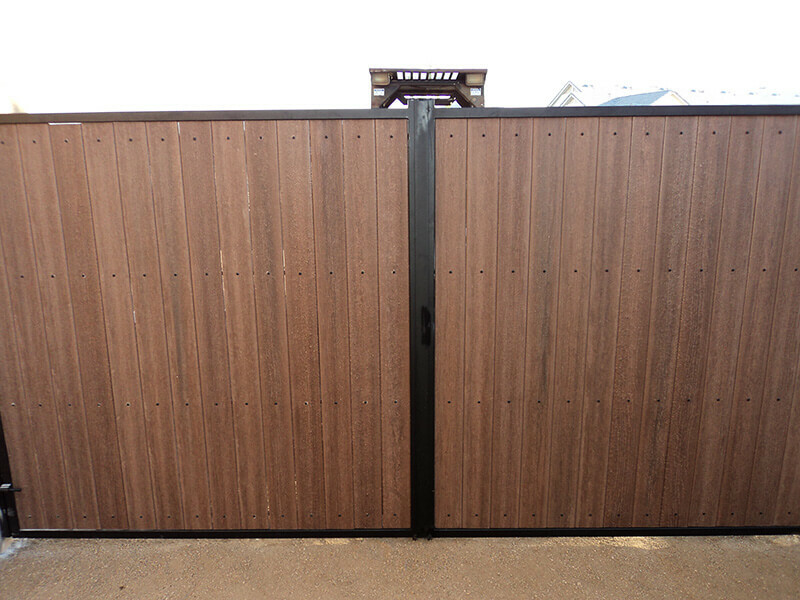 All gates include powder-coated metal frame, option of unfinished cedar wood, unfinished redwood, or composite wood (which includes a 20 year manufacturer warranty). With composite wood you will never have to paint or refinish, as it maintains its look for years to come. 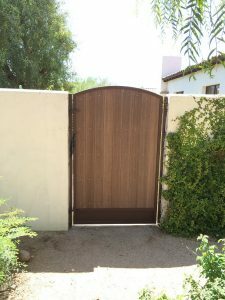 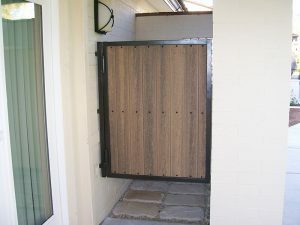 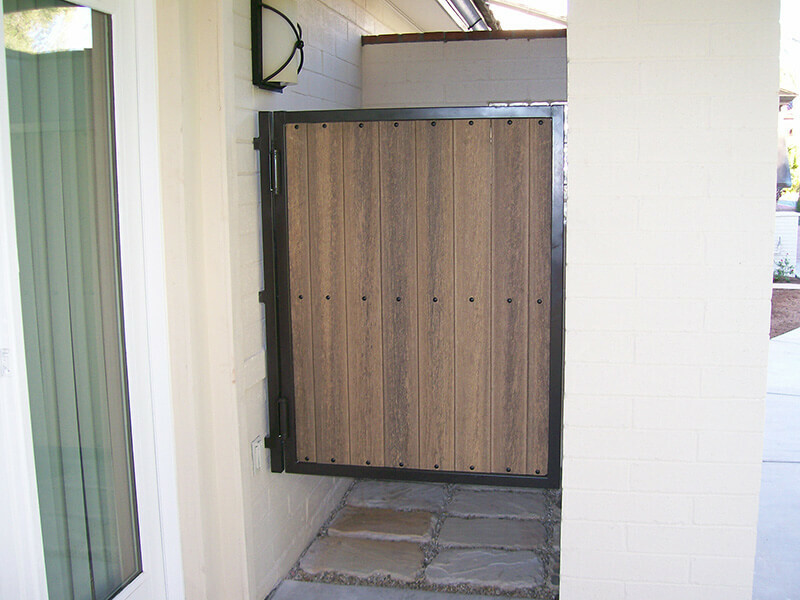 Gates come with a standard gravity latch, or have the option to upgrade to a door lever or deadbolt, making them work similar to the action of your front door.